Today the official BBC website has announced that Matt Smith is set to leave Doctor Who after four amazing years in the hit BBC TV series. 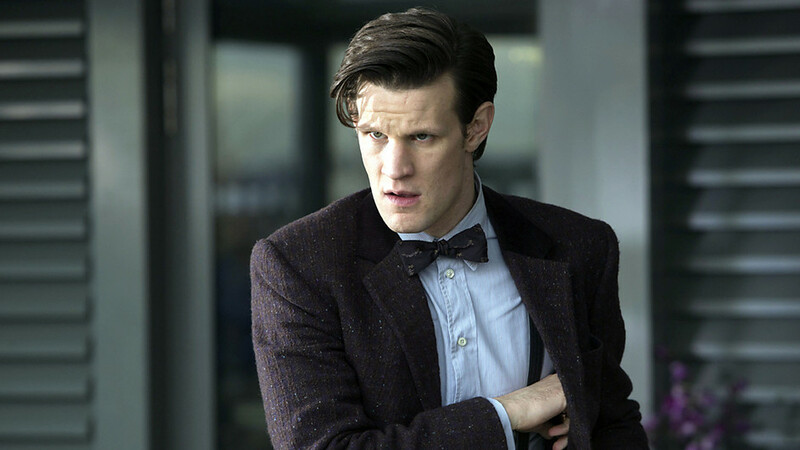 Matt Smith took his first trip in the TARDSI in 2010 and he will relinquish the role of the Doctor as the end of this year after staring in the 50th Anniversary special in November, regenerating in the 2013 Christmas Special. Matt Smith has been an incredible Doctor, his incarnation has reached over 30 million unique UK viewers, and during his time in the role the show has achieved global success. He was also one of the first actors ever to be nominated for a BAFTA in the role. Matt Smith soon won over fans of the series to be voted Best Actor by readers of Doctor Who Magazine for the 2010 Season. He was also noted for his first series at the National Television Awards, before going on to win the most popular Male Drama Performance award in 2012. Matt Smith has been involved in some of the programmes most exciting episodes, making the role of the Doctor his own, with over 77 million fans in the UK, USA, and Australia! 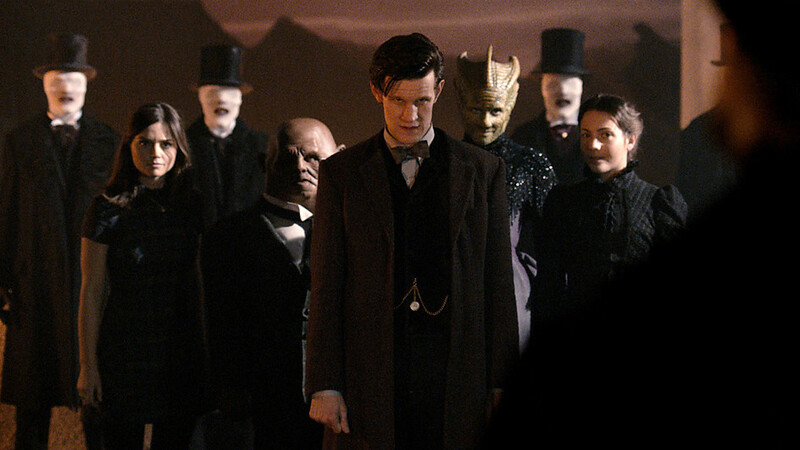 The 11th Doctor’s adventures in time and space has seem him accompanied by three different companions, Amy Pond (Karen Gillan), Rory Williams (Arthur Darvill) and then Clara Oswald (Jenna Coleman), Matt’s Doctor has battled against the Daleks, Cybermen, and Ice Warriors as well as the terrifying Weeping Angels. Professor River Song (Alex Kingston) has also played a significant role in the 111th Doctor’s life, appearing in many of his adventures. His Doctor is also famous for his love of fish fingers and custard, bow ties and hats, and he would often shout the catchphrase ‘Geronimo’ in the face of extreme danger. The exact nature of Matt Smiths departure from the show has yet to be revealed, and it is being kept tightly under wraps for now. He will return to BBC One for the unmissable 50th anniversary episode on Saturday 23rd November 2013, in what is sure to be one of the most spectacular episodes ever seen! He is revered and feared in equal measure, this Time Lord who has worn so many faces, gathering friends and enemies after centuries of adventures that have shaped the destiny of the universe. From the majestic splendour of Gallifrey, to a junkyard in 76 Totter‘s Lane, the Doctor’s exploits have touched countless lives and planets. When the Time Lords perished in the Time War the Doctor endured the torment of the carnage he had witnessed, he came back from the edge of destruction, finding hope with new companions and even greater adventures. But like any time-traveller ever journey the Doctor takes has caused ripples throughout time and space. These gaping wounds in the fabric of the cosmos now threaten to undermine everything that the Doctor stands for. 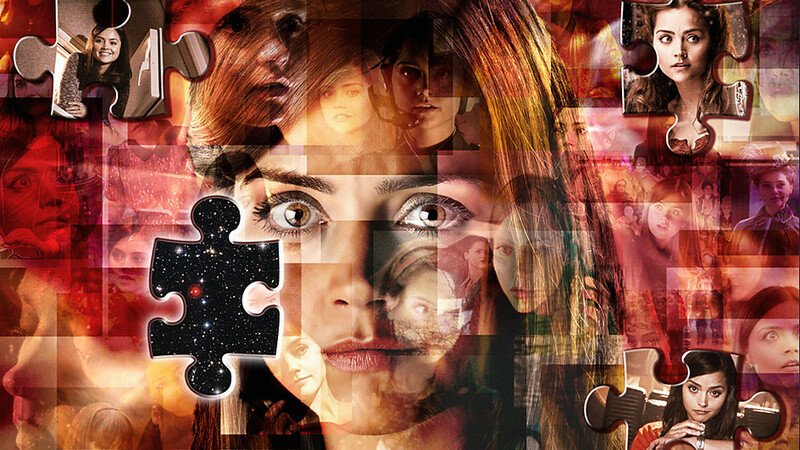 The mystery of the impossible girl, Clara Oswald, has somehow become linked with paradox upon paradox to filter back through every moment of the Doctor’s life. All paths now lead to Trenzalore, the one place that the Doctor should never visit, where legend foretells of the fall of the eleventh. Matt Smith’s Doctor faces his greatest challenge yet as the enigma of Clara Oswald begins to unravel in this incredible season finale. Jenna-Louise Coleman is as outstanding as ever as new companion Clara Oswald, the impossible girl, who keeps bumping into the Doctor across numerous time zones. The Name of the Doctor finally reveals that Clara is the girl who was born to save him, meeting him throughout all his incarnations, reaching right back to the very moment where the legacy of Doctor Who began on Gallifrey itself. 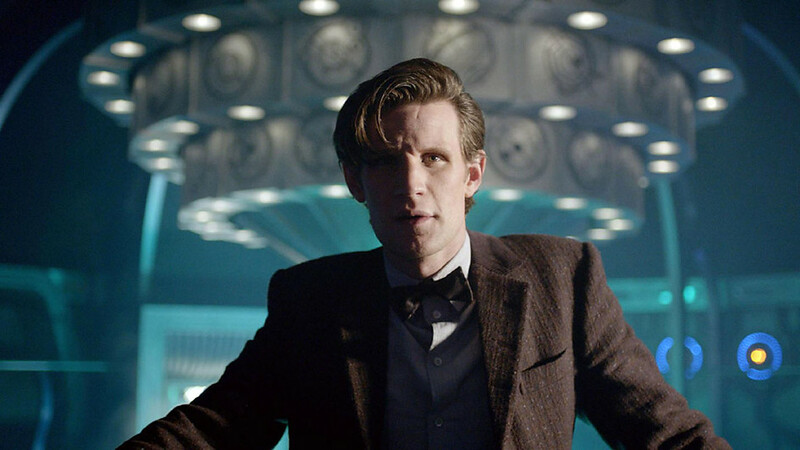 The eleventh Doctor has never faced a threat quite like what he must confront in The Name of the Doctor. From the moment the Doctor is bound for Trenzalore the bleak tone of this episode turns jet black as the Time Lord faces the threat of the Great Intelligence and the Whispermen. Nothing really comes close to what Steven Moffat has orchestrated here, it provides one of Matt Smith’s most defining moment as this eleventh incarnation makes his stand at Trenzalore. 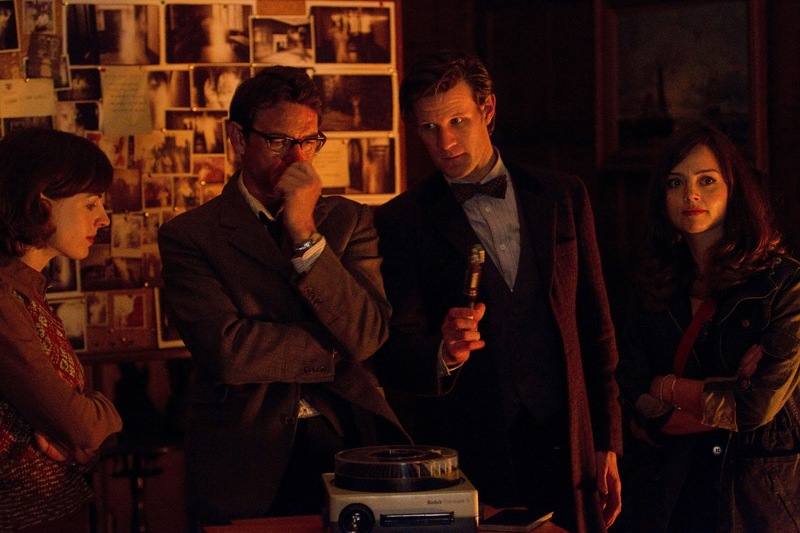 Several familiar faces also return for the season finale to help the Doctor in his hour of need. The Paternoster Row gang are back: Silurian warrior Madam Vastra (Neve McIntosh), her companion Jenny (Catrin Stewart) and their Sontaran butler Strax (Dan Starky) are drawn together for a psychic conference call with River Song and Clara also in attendance – but they receive some unexpected visitors. 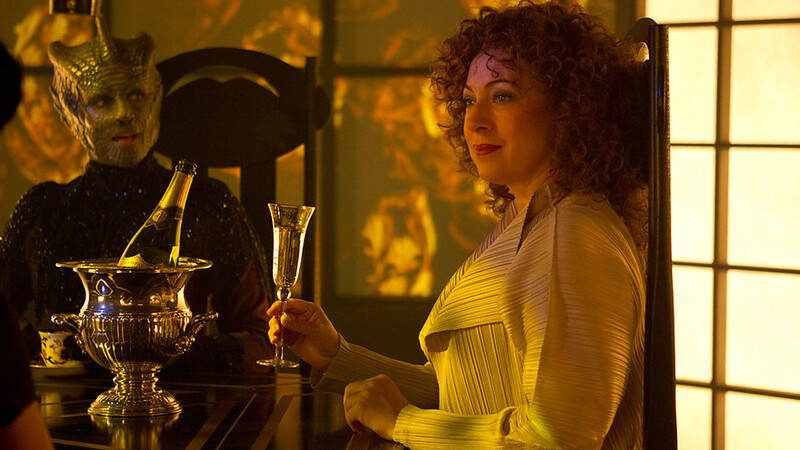 The vivacious Professor River Song (Alex Kingston) returns with a dire warning, her involvement brings her story full circle at last; her fate having becomes inexorably linked with he fall of the eleventh and Clara’s ultimate destiny. 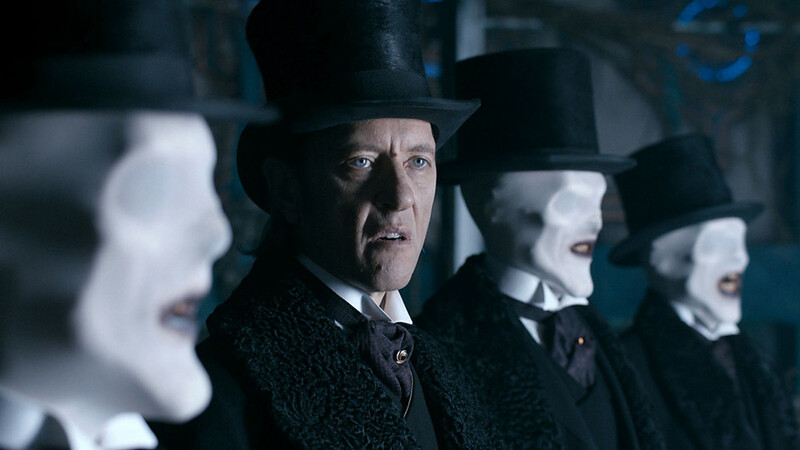 The entity behind the insidious plot to destroy the Doctor is the Great Intelligence, played once again by Richard E Grant, with his incorporeal from assuming the physical manifestation of Doctor Simeon. Having suffered a crippling defeat in The Snowmen (2012), the Great Intelligence returned in The Bells of St John (2013) to feast on the minds of people it absorbed through the Wi-Fi networks. When the Doctor found the base in the Shard, the Great Intelligence ordered his servant Miss Kislet (Celia Imrie) to sacrifice herself to prevent it being discovered. Now the grand design orchestrated by the Great Intelligence is revealed, to discover the name of the Doctor and use it to destroy him. The Great Intelligence also has some new allies to do his bidding, the terrifying Whispermen. Clad in black, wearing top hats, these featureless creatures with their rotten teeth are like ghoulish undertakers. Their powers are hauntingly effective, stalking their victims with rhyming chants, before their heart-stopping touch transports people to Trenzalore. The Whispermen are in fact just another extension of the Great Intelligence, faceless pawns in his grand design. 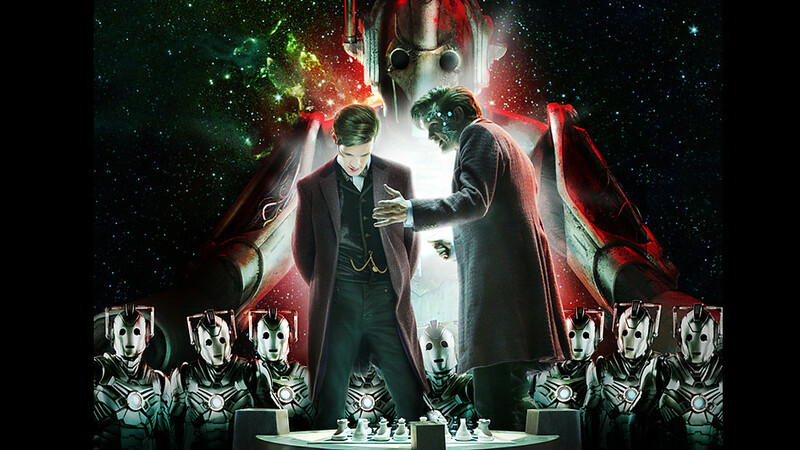 Richard E Grant makes a superb foil for Matt Smith’s eleventh Doctor, their epic showdown brings together many of Steven Moffat’s long running storylines, leading to one of the most emotional acts of self sacrifice ever seen in Doctor Who’s 50 year history. The Name of the Doctor is like a love letter to the series past. With the assured direction of Saul Metzstein (The Snowmen, Dinosaurs on a Spaceship, A Town Called Mercy, The Crimson Horror), the finale of Season Seven heralds a voyage through the life of the Doctor quite unlike anything we have ever experienced before. Steven Moffat has crafted a momentous epic which manages to encompass every era of the show. Each incarnation of the Doctor makes their presence felt in The Name of the Doctor as the barriers of time are swept aside by the events unfolding at Trenzalore. After the Whispermen capture Vastra, Jenny, and Strax, the Doctor resolves to rescue them from Trenzalore, the place where his body is buried on a planet in the future. He forces the TARDIS to land on the desolate planet, which turns out to be a huge graveyard where the Doctor’s final resting place dominates the horizon. This gigantic tomb is a future version of the Doctor’s own TARDIS, now a dying shell with its internal dimensions leaking; the Police Box exterior has grown into a huge monolith that towers over everything. Professor River Song is waiting for them by her own gravestone, but only Clara can see her. She explains how she kept the line to the conference call open so she could help. This version of River is like an echo that should have faded long ago; she says that the Doctor cannot see her, so it is up to Clara to help him. Using the hidden entrance concealed beneath River’s grave, the Doctor and Clara enter the TARDIS tomb, braving the warped interior, where Clara begins to remember what the Doctor told her in Journey to the Centre of the TARDIS. On reaching the tomb the Doctor and Clara are reunited with Vastra, Jenny, and Strax. Together they make a valiant stand against Doctor Simeon but the Whispermen overpower them as the Great Intelligence demands that the Doctor speaks his name to open the tomb. River steps in and opens the tomb to reveal the console room, overgrown with vines, the central console now just a gleaming wound of energy caused by the Doctor’s adventures. The Great Intelligence enters the energy beam and begins to rewrite the Doctor’s lives, undoing all his victories. The Name of the Doctor offers some tantalising glimpses from the past as Clara encounters the Doctor’s previous incarnations in her attempt to save the Doctor. These sequences are superbly shot, with Jenna-Louise Coleman being superimposed with images of the classic Doctor’s, it’s a technological and nostalgic marvel, spliced with snippets of dialogue, that helps complete this spellbinding adventure as the Doctor’s best kept secret threatens to bring all of creation to its knees. There is a sublime moment where the impossible girl meets the first Doctor on Gallifrey, where she advises him on which TARDIS to take, that is wonderful to behold. Alex Kingston gives a lovely understated performance as River Song; her final scenes with the Doctor were incredibly moving. The Paternoster Row gang are placed in mortal danger when the Whispermen hijack their conference call. There is a real sense of creeping dread as the Whispermen attack, which quickly turns to horror when Jenny realises she’s just been murdered. After she is revived by Strax on Trenzalore, the damage inflicted to the Doctor’s timeline by the Great Intelligence causes Jenny to fade away and Strax to turn on Vastra. 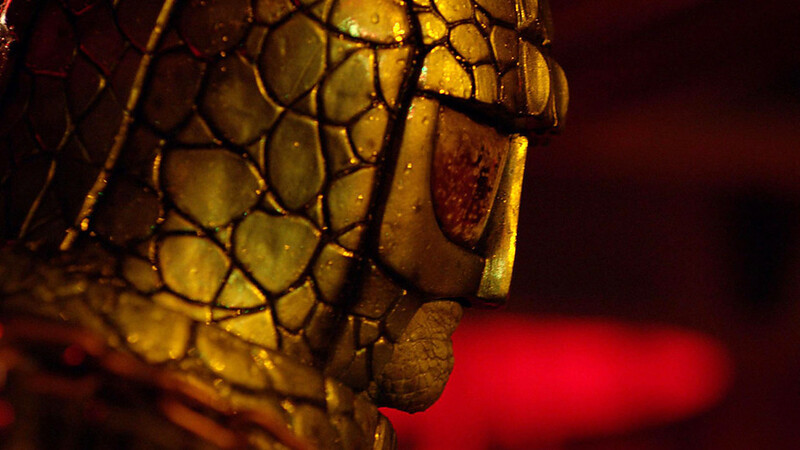 Neve McIntosh is brilliant as Vastra, her Silurian make up conveys every moment of heartbreak as she watches her comrades being altered by the paradoxes. 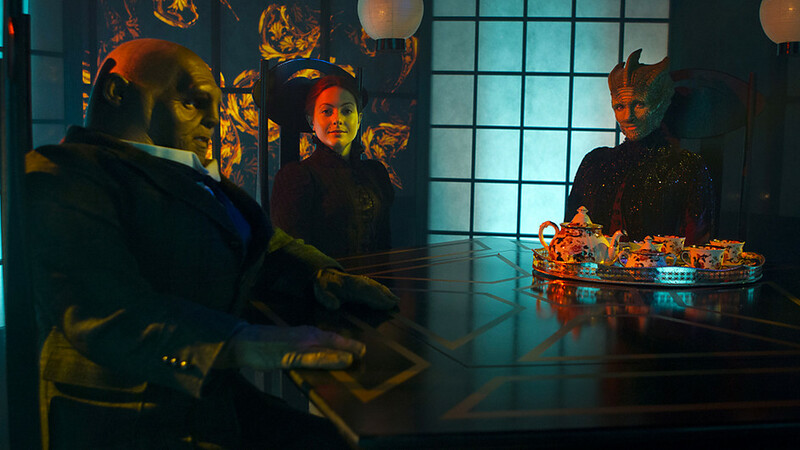 Catrin Stewart is also really good as Jenny, and Dan Starky continues to impress as Strax. Here’s hoping these characters get a spin off series of their own. The cliff-hanger ending to The Name of the Doctor, where John Hurt is revealed as another incarnation of Doctor, is sure to send rippled thought the cosmos as Steven Moffat sets the scene for the 50th Anniversary Special. This fantastic revelation will no doubt play a significant role in the Anniversary Special and may have far reaching implications for the future. John Hurt is a brilliant actor and I’m sure he will make a fantastic Doctor. Ironically for an episode all about the Doctor’s greatest secret it is the identity of John Hurt’s incarnation of the Doctor that holds the key. He could be any version of the Doctor, past, present, or future. Perhaps he is a dark shadow lurking at the end of the Doctor’s lifespan, like the Valeyard was, or even an older version of the 8th Doctor from the Time War that was responsible for the demise of the Time Lords. 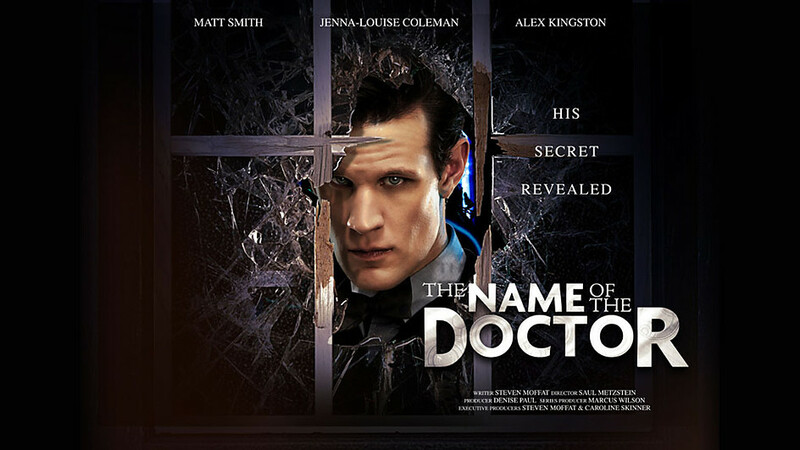 The Name of the Doctor provides a rousing climax to the Seventh Season of Doctor Who. Overall I think it’s been a terrific season. While it was sad to say goodbye to Amy and Rory, I’ve really enjoyed the mystery of the impossible girl, Clara Oswald, and have been impressed by diverse array of episodes and themes present in the second half of this season. I’m looking forward to the 50th Anniversary in November, where this story will continue, and to the eighth season and beyond. Now that Artie (Kassius Carey) and Angie (Eve De-Leon Allen) know about Clara’s time travelling adventures, Clara (Jenna-Louise Coleman) talks the Doctor (Matt Smith) into taking them all on a day out. The Doctor decides to take them all to Hedgewick’s World, one of the most spectacular theme parks in the universe, a quarter of a million years in the future. He has a golden ticket that will get them all in for free; it also gives them free ice cream, and will allow them to get to the front of all the lines for the best rides. 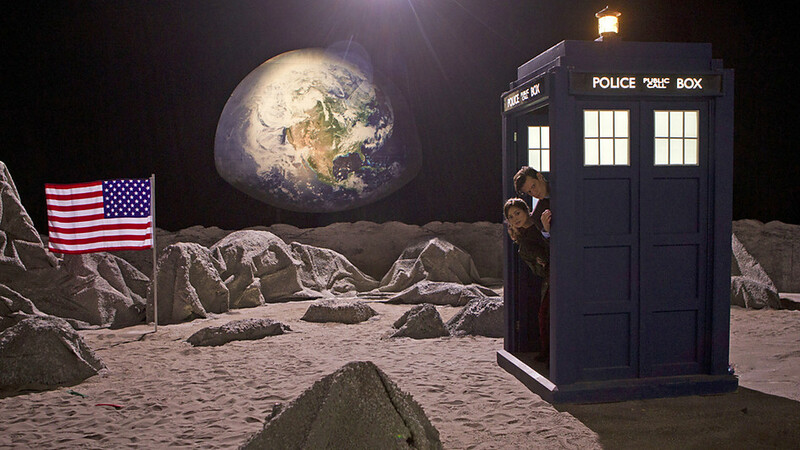 The TARDIS arrives in the middle of a ride that resembles the surface of the moon, but it turns out that the theme park has been closed for some time. They discover that the facility is now being used as a training camp by the military to discipline their troops. 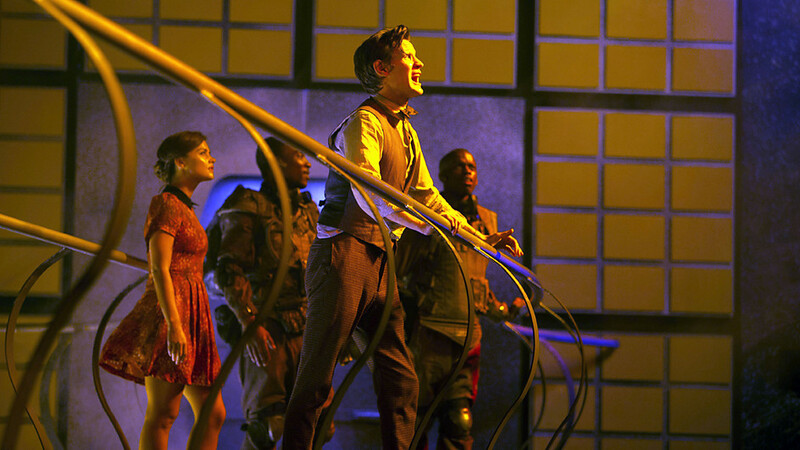 The Doctor and his companions meet a small team of soldiers, led by Captain Alice Ferrn (Tamzin Outhwaite), who is also here for disobeying orders. An old showman called Mr Webley (Jason Watkins) and his henchman Porridge (Warwick Davis) have also made their home here, having arrived in their spaceship after the park closed, and they run a small museum that has seen better days. The Doctor learns that the park was closed down some time ago after people started disappearing from the rides and attractions. Only a small collection of wonders from cross the galaxy now remain on display in Mr Weebley‘s World. One of the exhibits, the 699th wonder of the universe, is a Cyberman, a race who were defeated by humanity over a thousand years ago in the last Cyber War. As the Doctor ponders the fate of his old enemy, now reduced to little more than a fairground attraction playing chess, he is unaware that strange insect-like creatures are monitoring their every move. It would seem that Hedgewick’s World is not as deserted as it appears. When Mr Weebley and the children are infected by the Cybermites, the Doctor tries to rescue them, only to be infected by the tiny robots as well. The Cyber Planner attempts to take over the Doctor’s mind, forcing the Doctor into a deadly game of chess to save Artie and Angie. They manage to get away and join Clara and the soldiers at a castle in the middle of the park. 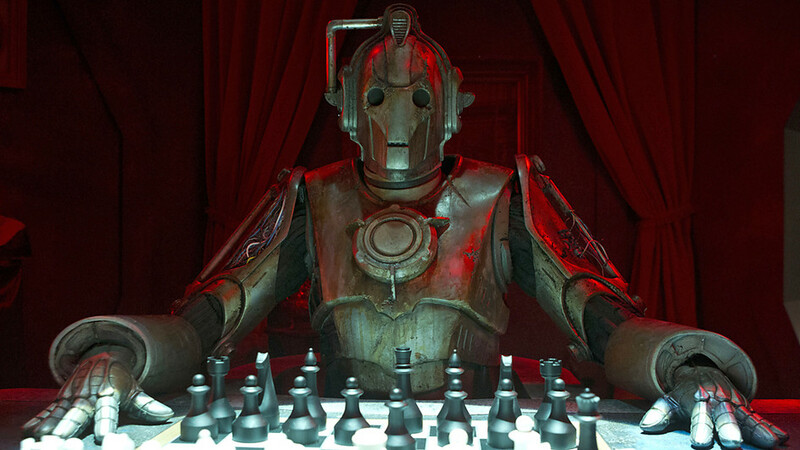 Clara and the soldiers must protect the Doctor while the chess games plays out, but a new race of super intelligent Cybermen are emerging from their tombs and attack the castle. The Doctor manages to defeat the Cyber Planner, freeing himself of its influence, but if they are to escape Porridge will have to make the most difficult choice of all or the Cyber Race will spread throughout the galaxy once more. Nightmare in Silver has been one of the most eagerly anticipated episodes this season. 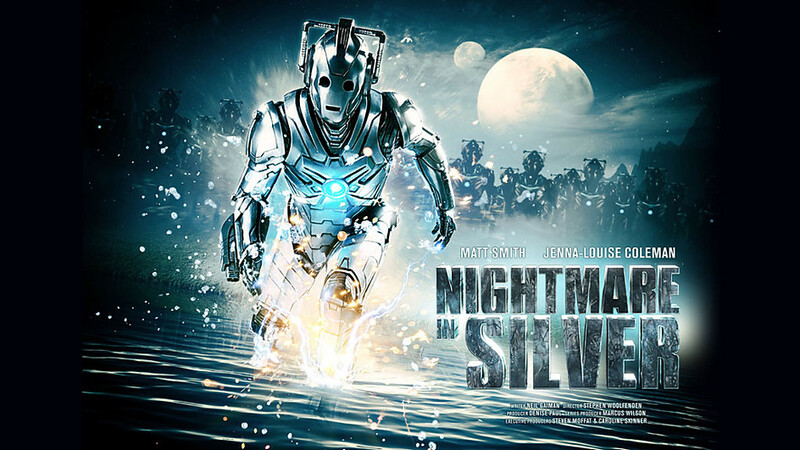 Written by best selling author Neil Gaiman, writer of the critically acclaimed sixth season story The Doctor’s Wife (2011), Nightmare in Silver also marks the long awaited return of the Cybermen. Having been asked by show runner Steven Moffat to make the Cybermen scary again, Neil Gaiman has crafted a wonderfully creepy story that is sure to become another fan favourite. Nightmare in Silver features many references to classic Cybermen stories from the 60’s, particularly the Moonbase (1967) and the Tomb of the Cybermen (1967). The design elements from those stories also feature strongly, especially on the Cyber Ship, and the history of the Cyber Race permeates every aspect of the story – detailing the legacy of the Cybermen and some of their weaknesses. 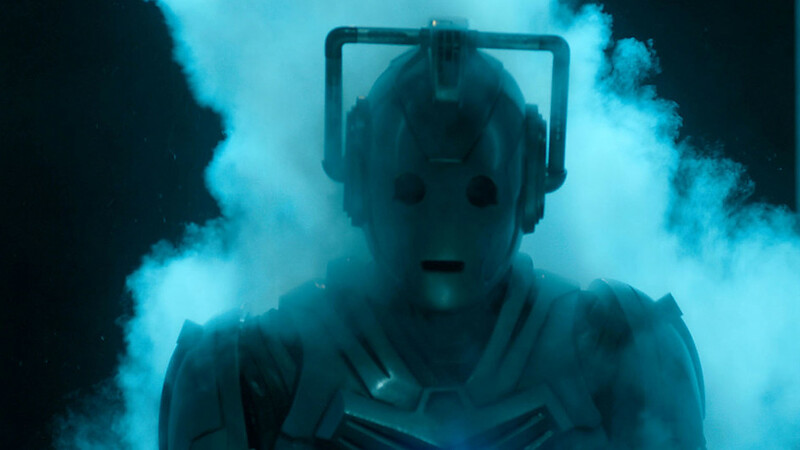 After their last appearance in Closing Time (2011), the Cybermen have been given a sleek new look for Nightmare in Silver, which also incorporates many design elements from the past. One aspect that is strikingly effective is the way their faces seem better proportioned now, which makes them look more like their 60’s counterparts. Their armoured forms are now far more agile than the clunky modern version that has remained virtually unchanged since they appeared in Rise of the Cybermen & the Age of Steel (2006). The Cybermen now have weapons built into their arms, a bright glowing chest plate, they possess the ability to move incredibly fast, their limbs are detachable, and they have also developed a horrific new way to upgrade their victims. 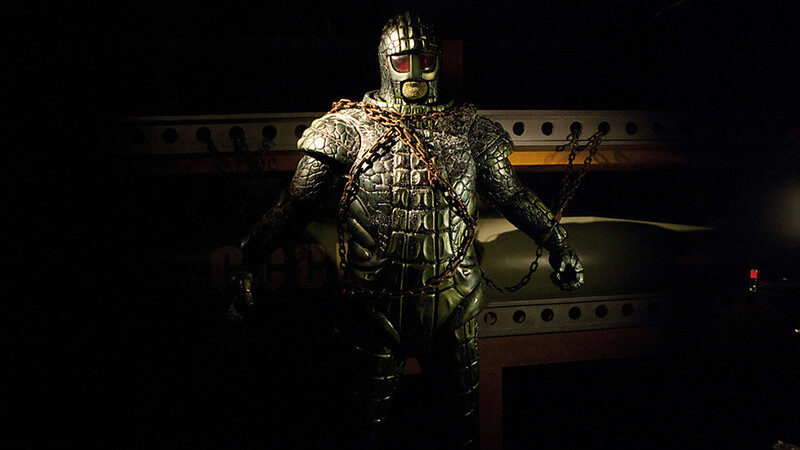 A new variation of the Cybermats also features in this episode, the insect-like Cybermites, which assist in the Cybermen’s new upgrading process. 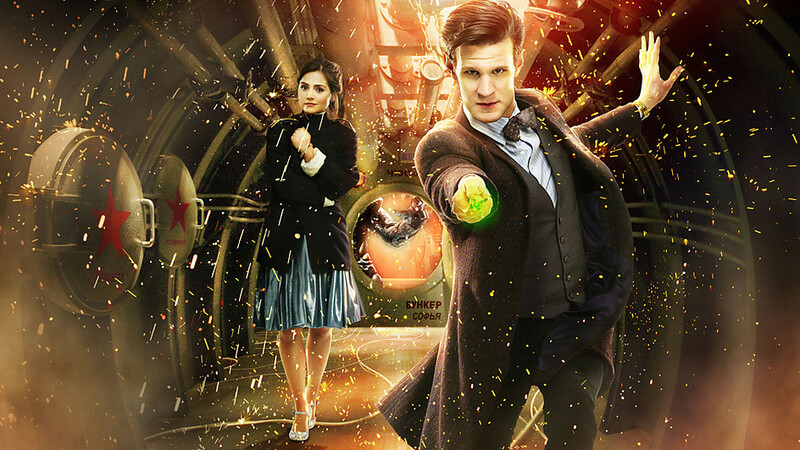 Matt Smith and Jenna-Louise Coleman continue to impress as the Doctor and Clara face the threat of the Cybermen. The Doctor puts his complete faith in her in A Nightmare in Silver, entrusting her to look after the children, as well as leaving her in charge of a squad of soldiers as the Cyber Invasion begins. 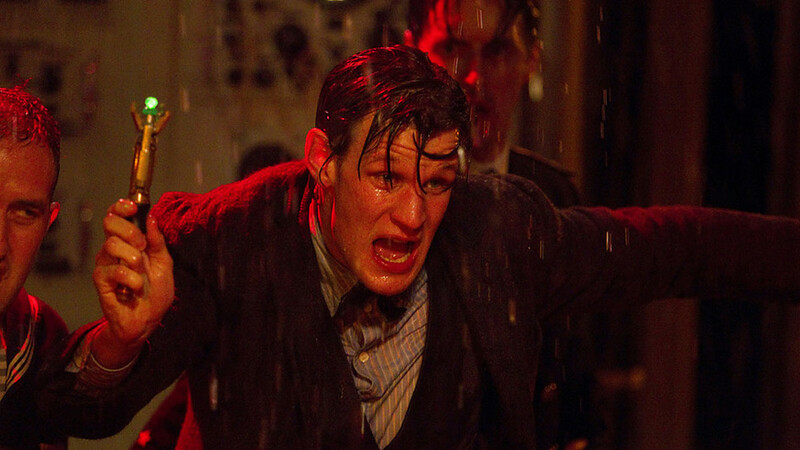 Matt Smith gives a stunning performance as the Doctor, even playing opposite himself for the bulk of the episode as he confronts the full horror of Cyber Conversion in his attempt to save everyone from the Cybermen. Nightmare in Silver also features a superb guest cast. 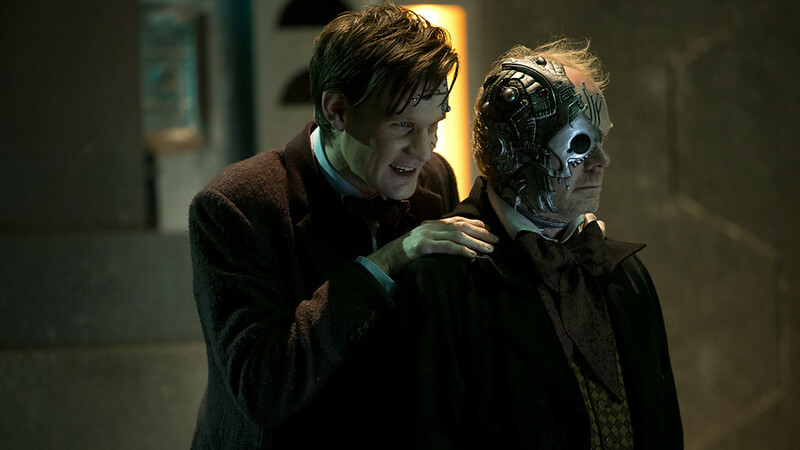 Jason Watkins is great fun as the world weary Mr Webley, who foolishly tries to bargain with the Cybermen. Tamzin Outhwaite is also really good as Captain Fern, who has to make a fighting force out of her undisciplined troops if they are to fight off the Cybermen’s attack, and Warwick Davis is great as Webley’s affable henchman, Porridge, a man with a secret past who just wants to leave the planet. Kassius Carey and Angie Eve De-Leon Allen are also very good as Artie and Angie. This action packed story is directed by Stephen Woolfenden, who really captures the epic scale of Neil Gaiman’s brilliant script, and its great to see the Cyberemen back in force again in Doctor Who. There are some obvious comparisons between Neil Gaiman’s new Cybermen and the Borg from Star Trek, particularly their hive mind, and the way they try to assimilate the Doctor into their Cyberriad. 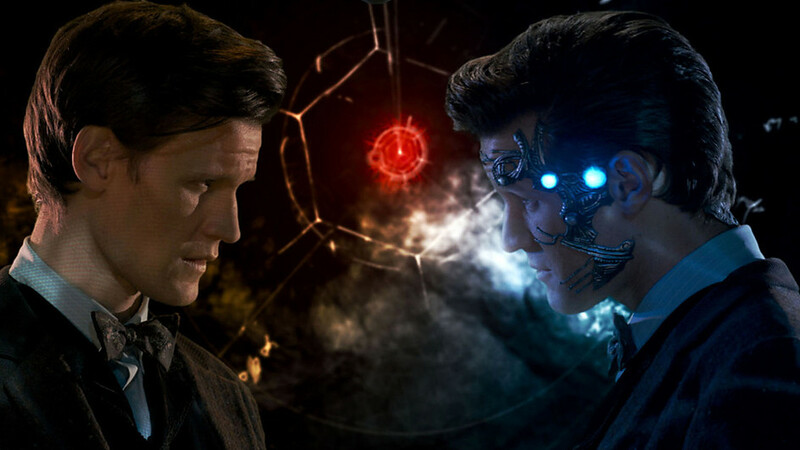 Matt Smith is brilliant as he portrays the conflict within him, and this is undoubtedly one of his best performances yet, even though it does mirror Captain Picard’s transformation into Locutus in Star Trek The Next Generation. Nightmare in Silver is a brilliant episode, full of exciting set-pieces, and there is even a stunning homage to the Doctor’s past incarnations as the Cyber Planer vies from control of the Time Lords mind. The new Cybermen look amazing and I hope we get to see them again soon. After the TARDIS has a nasty encounter with a salvage vessel, the time machine is dragged into the ship and dumped onto a scrapheap where it starts leaking time. The space faring Van Baalen Brothers think they have just stumbled upon one the of the greatest hauls of they‘ve ever made, a unique space time machine like the TARDIS could make them a fortune, and they intend to break the TARDIS up and sell it to the highest bidder. Naturally the Doctor is not prepared to let the TARDIS be plundered without a fight, especially when Clara becomes lost in its corridors, so he puts the TARDIS into lockdown mode and activates the self destruct system – giving them just 30 minutes to find Clara before the ship collapses in on itself and is completely destroyed. The title of this episode is enough to raise fan expectations to fever pitch, and for the most part, Journey to the Centre of the TARDIS lives up to its thrilling premise. This episode is written by Stephen Thompson, who also penned the 2011 story The Curse of the Black Spot, and he takes us on a tantalizing adventure right to the heart of the TARDIS itself. The Doctor’s time machine has been explored many times during the shows history: the Doctor and Sarah Jane found a new wood panelled control room in The Mask of Mandragora (1976), in The Invasion of Time (1978) the Sontarans broke into the TARDIS and chased the Doctor and Leela through a vast number of rooms, a majestic cloister appeared in Logopolis (1981), and the healing properties of the Zero Room played a vital role in stabilising the 5th Doctor’s regeneration in Castrovalva (1982). Since the series return, only the Doctor’s Wife (2011), has really featured the interior of the TARDIS to any great degree, after the time machine was taken over by the parasitic entity House who tortured Amy and Rory with nightmarish visions as they fled through the corridors. 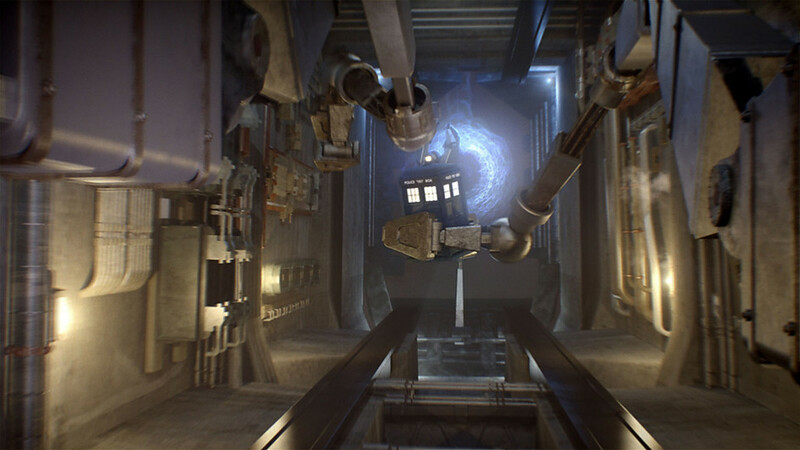 Indeed, The Invasion of Time was the last story to really explore the TARDIS interior in 1978, but due to industrial action, location filming at an old Victorian asylum had to double for the ships vast network of corridors and rooms, hardly creating the desired effect that would have been created by more ambitions studio sets. Fortunately there are no such problems here, and Stephen Thompson’s action packed story has given designer Michael Pickwood, the man responsible for the new TARDIS console room that debuted in the The Snowmen (2012), and director Mat King a field day as the TARDIS corridors and rooms are explored like never before. There is a real sense of depth and scale as the long TARDIS corridors lead to some amazing rooms: there is an enormous swimming pool, a grand library steeped in shadows, the architectural reconfiguration chamber, an observatory, the Eye of Harmony, and a vast chasm which leads to the incredible splendour of the bizarre void that awaits the Doctor and Clara at the centre of the TARDIS itself. We experience the immense beauty and wonder of the TARDIS in this episode, as well as the dark terror that can be lurking around the next corner, and it’s also quite a shock to see the TARDIS and the console so badly damaged. This is a very claustrophobic story that really pushes the Doctor’s and Clara’s trust issues to the limit. 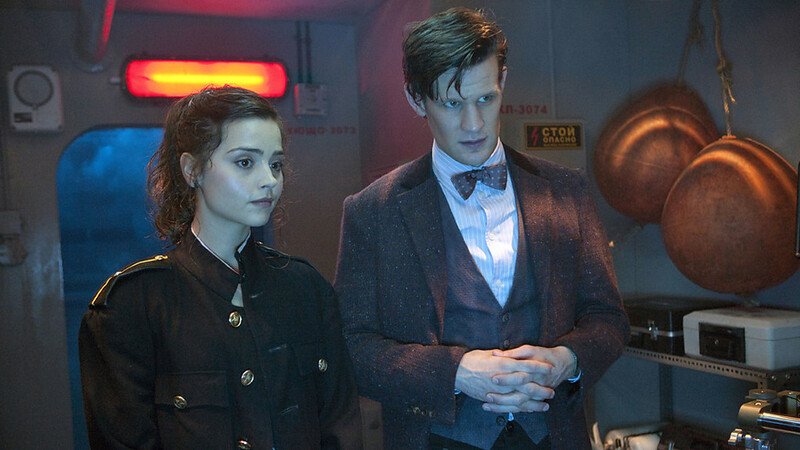 Matt Smith and Jenna-Louise Coleman are constantly developing new aspects to the Doctor and Clara’s relationship; it makes for some really intense scenes, especially as the imminent destruction of the TARDIS forces them to confront their innermost doubts about each other. The zombie-like monsters are also very creepy as they stalk the corridors, their charred bodies move with unnatural speed, making them incredibly menacing. As the Doctor and Clara make become trapped the identity of the emaciated monsters – their slightest touch burns horribly – is revealed. They seem to have a link to Clara, as if they are some kind of echo from the future, one where the Doctor has failed to save her again. 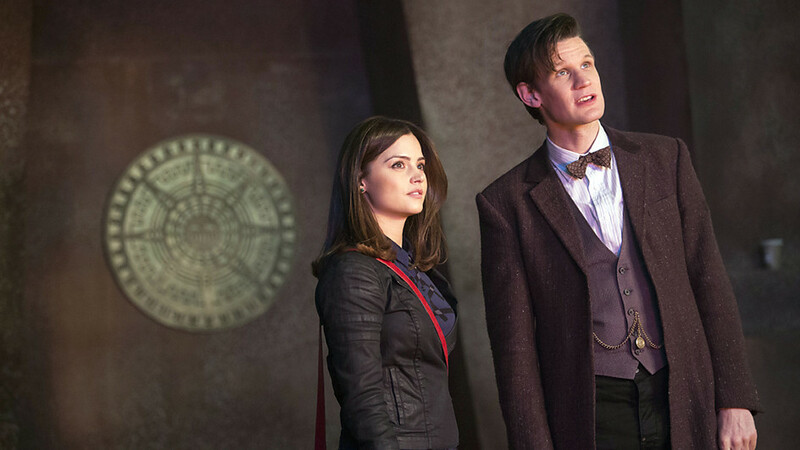 Later when they are faced with a bottomless abyss, the Doctor confronts Clara, revealing his past encounters with Oswin and the Governess to his companion, an emotional moment which leads to them taking the greatest leap of faith of all. Once inside the centre of the TARDIS the markings burnt into Clara’s hand at the start of the episode help he Doctor find the time rift that was caused when the Baalen Brothers captured the TARIDS. 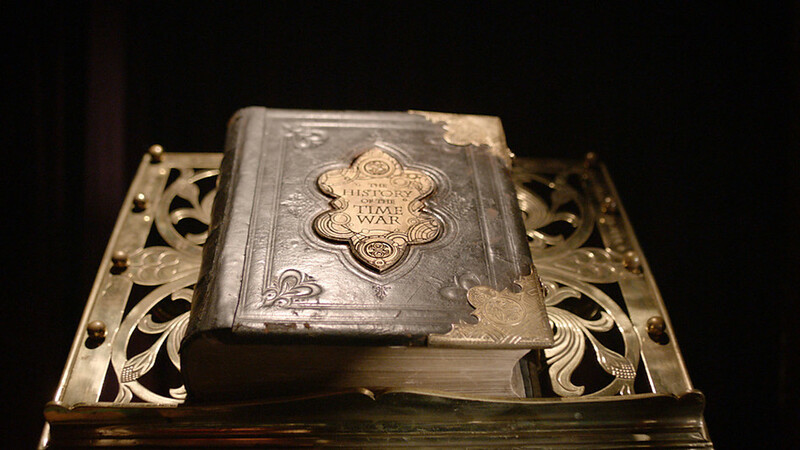 Knowing that the memory of these events may be erased when the Doctor enters the rift, Clara asks the Doctor about his true name, the one she read in the book she found in the library about the Time War. 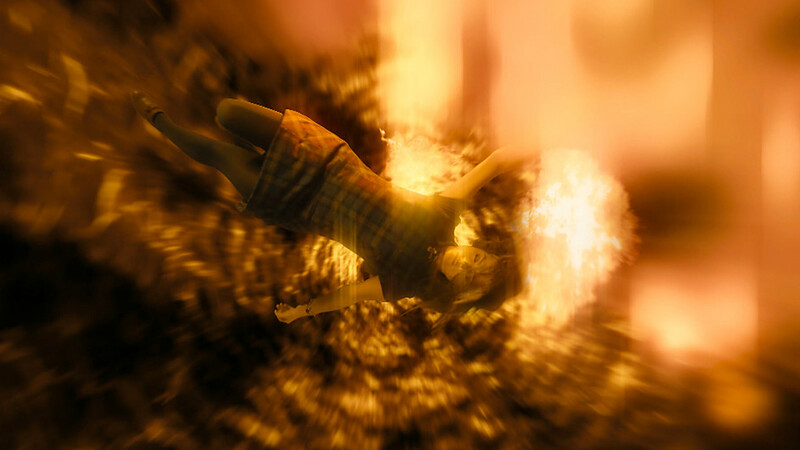 The Doctor stops her from saying his name, before leaping into the rift, travelling back to the beginning of the adventure to prevent the TARDIS being captured. 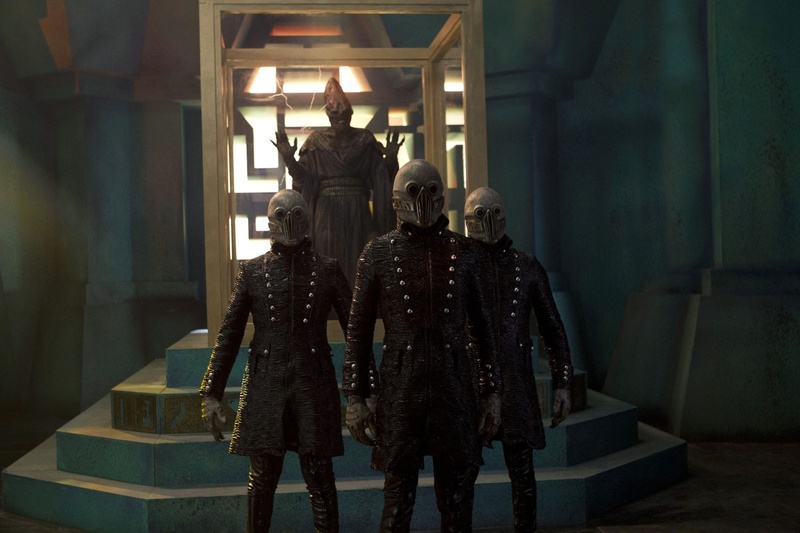 The Baalen Brothers, Gregor (Ashley Walters), Bram (Mark Liver), and Tricky (Jahvel Hall) are a motley bunch of intergalactic rag-and-bone-men, who take great delight in assessing how much money the TARDIS will make them, but unwittingly find themselves trapped inside the very prize they thought they had just captured. There are some great moments as we see them exploring the TARDIS, using their computer to put a value on everything they find, and it’s an interesting concept to imagine this incredible time machine being broken up and sold as scrap. It’s also quite disturbing how the Baalen Brothers made their younger brother, Tricky, believe he was an android after he was injured in an accident. The Doctor is rightly appalled by their actions, deeming it just a cruel trick played by the Brothers to alleviate their boredom. Events inside the TARDIS force the Baalen Brothers to admit the truth to Tricky, which leads into a nice coda at the end of the episode. Journey to the Centre of the TARDIS is another really good episode. We get to see many new areas of the TARDIS, some of them quite unexpected, and Clara’s voyage to the centre of the time machine also leads to her discovery of the Doctor’s name. Although the conclusion to Journey to the Centre of the TARDIS may seem a little bit rushed, it leaves us wondering if Clara really has forgotten everything, possibly foreshadows even darker things to come. 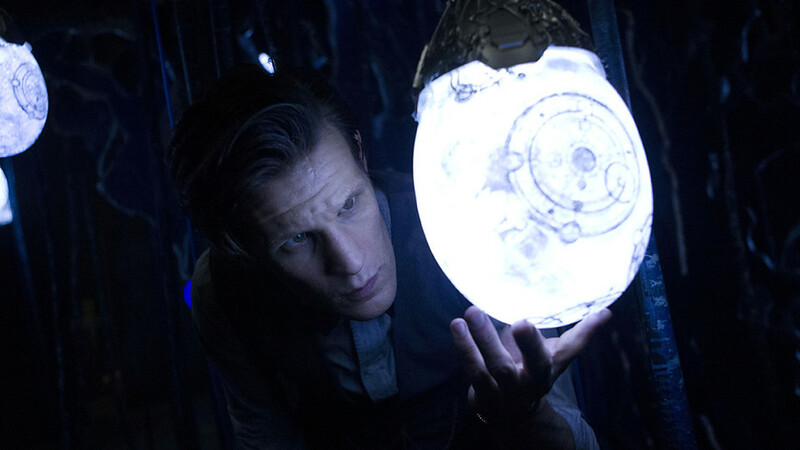 There are also plenty of references to the history of Doctor Who, we hear several familiar voices from the past as time leaks from beneath the TARDIS console, and there are some really exciting action sequences as the monsters run amok which makes Journey to the Centre of the TARDIS one of the most exciting episodes this season. When the Doctor and Clara arrive at Caliburn House in 1974, a haunted mansion on a fog shrouded moor, where Professor Alex Palmer (Dougray Scott) and his assistant, the empathic psychic Emma Grayling (Call The Midwife’s Jessica Raine), are investigating the sightings of a terrifying ghost known as The Witch of the Well. Caliburn House has stood for over four hundred years, but The Witch of the Well is much older even than that, and she has been known by many names. Now the Doctor has arrived to solve the mystery of this ghostly manifestation. The Doctor and Clara assist the Professor and Emma in their search for The Witch of the Well, exploring the dark halls of the house, but is the apparition really a ghost, and who, or what, is malevolent entity that seems to be chasing her? When the Doctor and Clara travel back through the history of the Earth in the TARDIS it becomes clear that the ghost is really a woman called Hila (Kemi-Bo Jacobs), a traveller from the future, who has become trapped in a pocket dimension. Professor Palmer and Emma help the Doctor by to using her empathic abilities to open a wormhole into the pocket dimension, but when the Doctor becomes trapped Clara has to gain access to the TARDIS to rescue him. Once she persuades the visual interface to let her in, the TARDIS enters the pocket dimension, and Emma reopens the wormhole so they can escape. Hide is the second story this season by Neil Cross (scriptwriter for Spooks and creator of the award winning Luther). While his previous story, The Rings of Akhaten, was set on an alien planet in a distant galaxy, Hide is a supernatural ghost story set on Earth in 1974. Neil Cross delivers a genuinely spooky tale, one which draws its influences from such classic BBC programmes as The Stone Tapes (1972) and the Quatermass serials (1953-59) by Nigel Kneale, and director Jamie Payne enhances the more traditional aspects of this gothic ghost story with some nail biting scenes reminiscent of the first Poltergeist (1982) film and The Haunting (1963) as the Doctor and Clara face the horrors of Caliburn House. 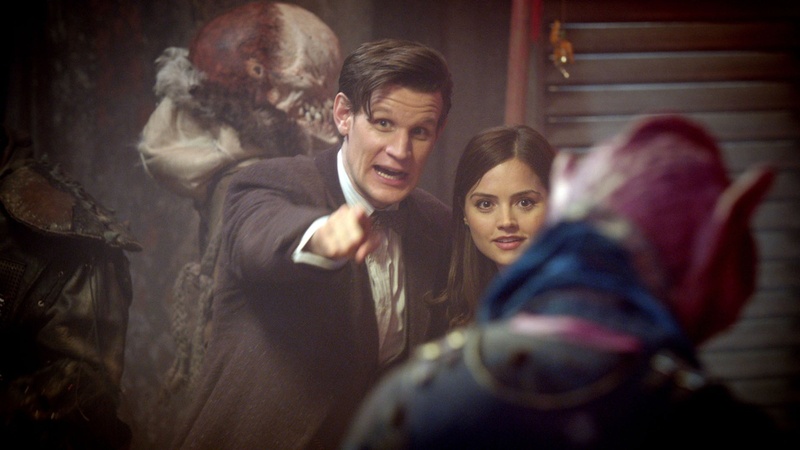 Matt Smith and Jenna-Louise Coleman are exceptional good in this episode, the relationship between the Time Lord and his new companion is evolving at a natural pace – highlighted by a fun nod to Ghostbusters in the pre-titles sequence – and they really convey the sense that the Doctor and Clara have been have been travelling for a some time now. As this was the first episode filmed with the present version of Clara, it’s all credit to Matt Smith and Jenna-Louise Coleman for making their onscreen chemistry so convincing. Clara is continuing to adapt to her life as a time traveller, she still seems a little uncertain about her adventures, and Hide also illustrates the interesting concept that – unlike some of the Time Lords previous companions – the Doctor and Clara don’t quite seem to trust each other yet, something which is compounded further by the darker; more unsettling aspects of time travel that Clara experiences in this episode. 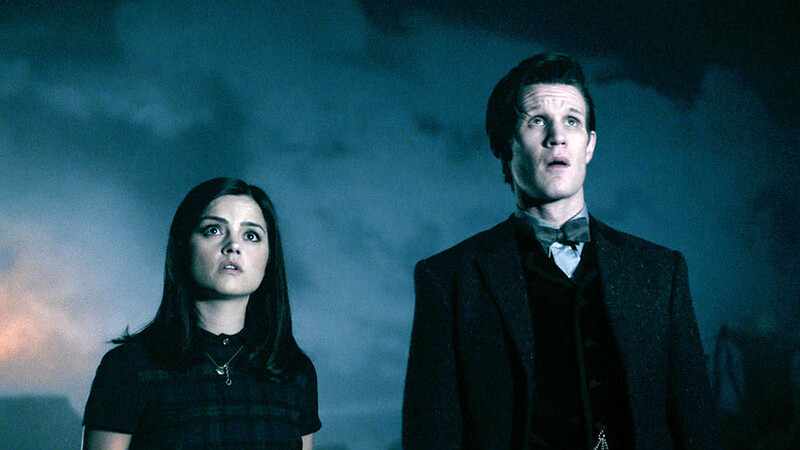 Troubled by their brief voyage to the beginning and end of life of Earth, so the Doctor can take snapshots of the ghost as it manifests throughout the history of the planet, Clara begins to question the Doctor about how time travel must make people seem like ghosts to him, but the Doctor refutes her assumption when she presses him further: “Then what are we? What can we possibly be?” she asks as the TARDIS returns to Caliburn House in the present, to which the Doctor guardedly replies: “The only mystery worth solving…” Few companions have ever challenged the Doctor quite so openly as Clara does here, it really establish a great dynamic between them, and clearly indicates that Clara is not just going to hang on the Doctor’s every word. Dougray Scott is also very good as the uptight Professor, Major Alex Palmer, who has dedicated his life to researching the paranormal, and Jessica Raine is entirely convincing as the gifted psychic Emma Grayling, her empathic abilities are crucial to the investigation, and they also allow Emma pick up on the unanswered questions that hang over the Doctor and Clara‘s adventures. 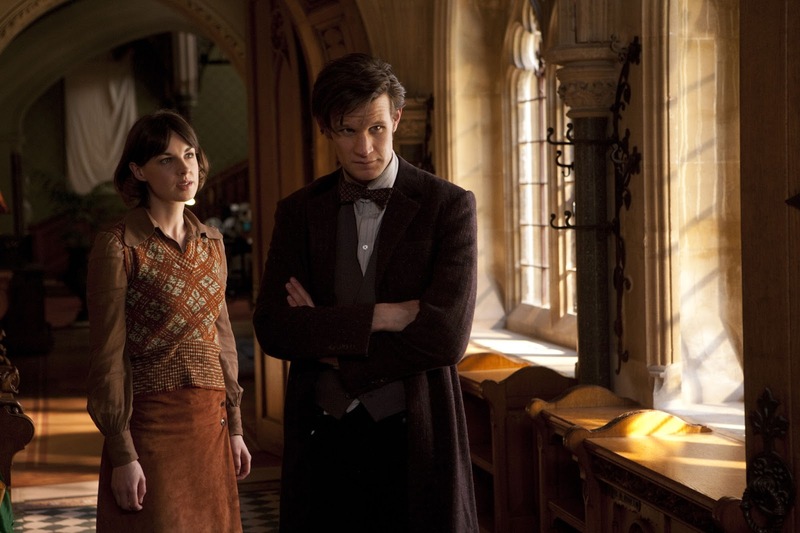 There are some great scenes between the Doctor and Emma, where they discuss the enigma of Caliburn House and later where he asks her if she senses anything about Clara, and she plays a pivotal role in helping the Doctor enter the pocket dimension after her powers are amplified by the bizarre properties of a blue crystal from Metebilis III provided for her by the Doctor. Already familiar to viewers for her role as Jenny Lee in BBC One’s Call the midwife, this is Jessica Raine’s first role in Doctor Who, but later this year we will see her play Verity Lambert in the BBC Two drama about the early days of Doctor Who: An Adventure in Time and Space, which chronicles the story of the programme’s creation. Kemi-Bo Jacobs gives a good performance as the time travelling Hila, the poor woman who tragically became The Witch of the Well after becoming trapped between dimensions. The actual creature of behind the supernatural occurrences, the Hider (The Crooked Man), is a remarkable creation, a gnarled monster born of some unearthly menace, which permeates the story with terrifying malevolence that even gives the Doctor cause to fear its presence when he is trapped in the dark woods of the pocket dimension. It is only here that Hide looses some of its brooding atmosphere, as the action switches between Caliburn House and the pocket dimension, where the story begins to unravel slightly; giving way to a predictable pseudo-scientific explanation to the ghostly phenomena. The locations for Hide are really effective, Tyntesfield, a National Trust House in Wraxall, near Bristol, and Hensol Castle in South Wales, all serve to heighten the gothic atmosphere of the story. 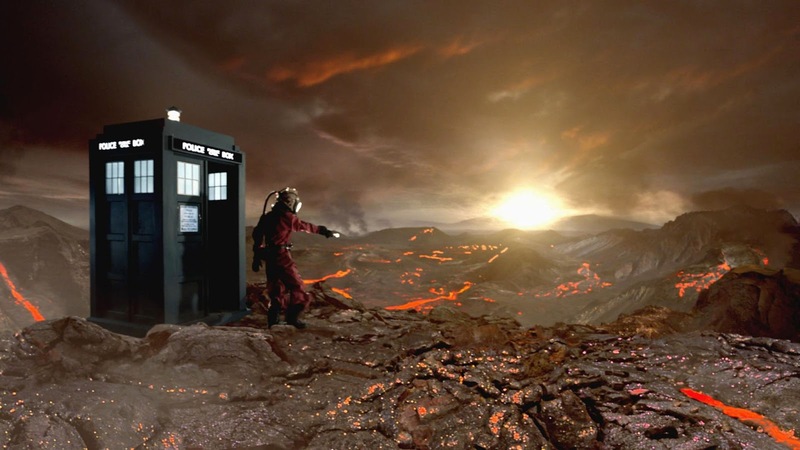 There are also some remarkable scenes in Earth’s past midway through the story, with some truly stunning primeval landscapes, with the Doctor emerging from the TARDIS wearing a familiar space suit from the 10th Doctor’s era. Even the TARDIS seems to be warming to Clara’s presence, after denying her and Merry entry in The Rings of Akhaten, the time machine finally relents and allows Clara into the ship to let her rescue the Doctor from the Hider. Its great to hear the Cloister Bell ring out again and it was also fun seeing Clara having to interact with herself when the TARDIS generates a visual interface using her image – although it still leaves you wondering why the TARDIS doesn’t seem to like her. The mystery of Clara‘s identity continues to confound the Doctor, leaving him almost as baffled as we are, but there are a couple of interesting developments in the Doctor’s quest for answers. 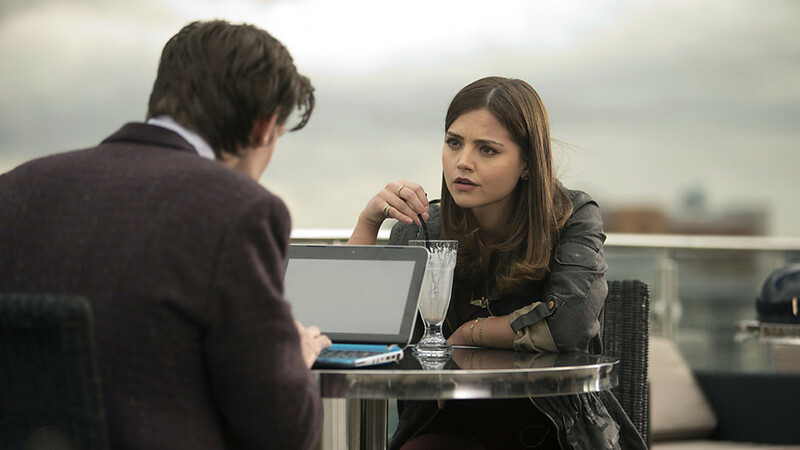 One scene in particular has great resonance when Emma warns Clara not to trust the Doctor as he has a sliver of ice in his heart. 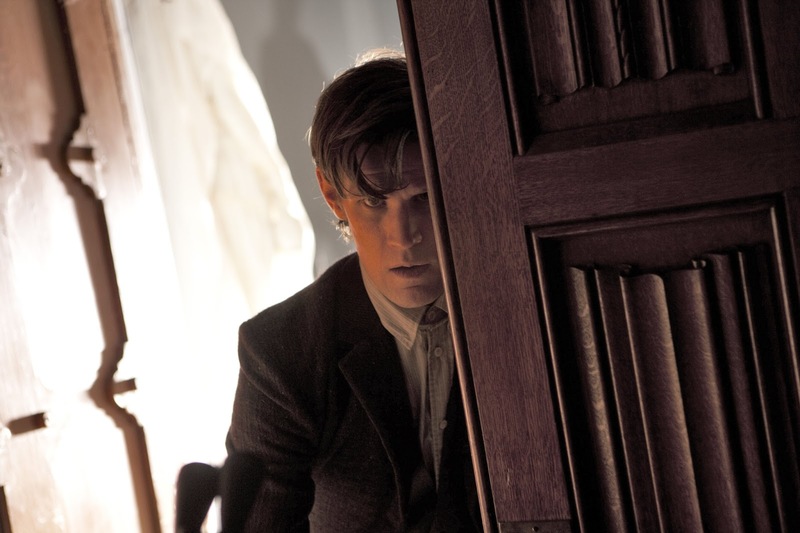 This is also a great episode for Matt Smith as the Doctor has to fight against fear itself. It’s quite unsettling to see the Time Lord confronted with such an intangible force as this. 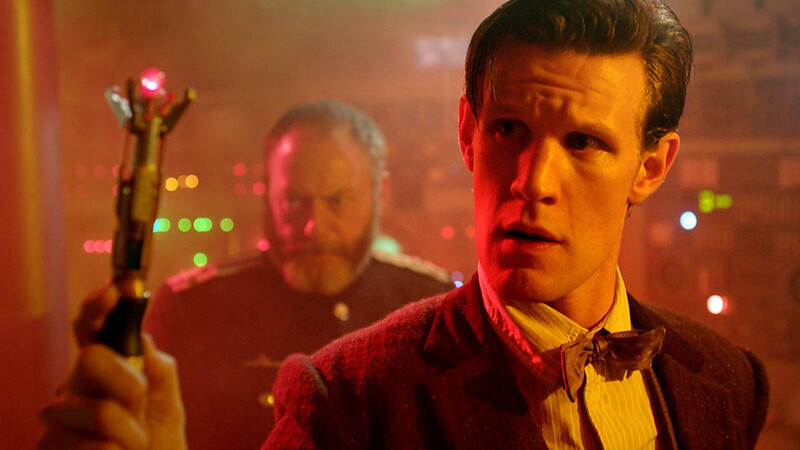 We don’t often get to see moments in Doctor Who where the Doctor seems to be genuinely frightened, and Matt Smith gives one of his best performances this series. Hide is about as close to a traditional gothic horror story as Doctor Who could ever managed to achieve. 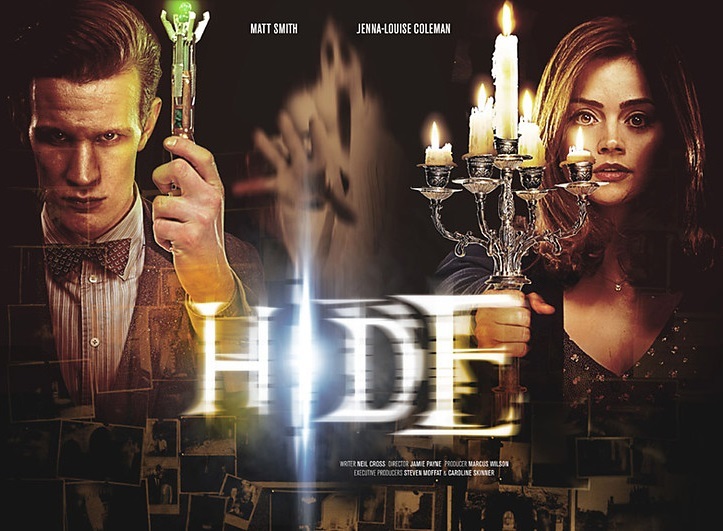 Its full of terrifically creepy moments that make full use of its wonderful locations, together with some great performances, Hide is a really good story that offers a chilling take on the paranormal in the finest tradition of the Doctor Who universe. 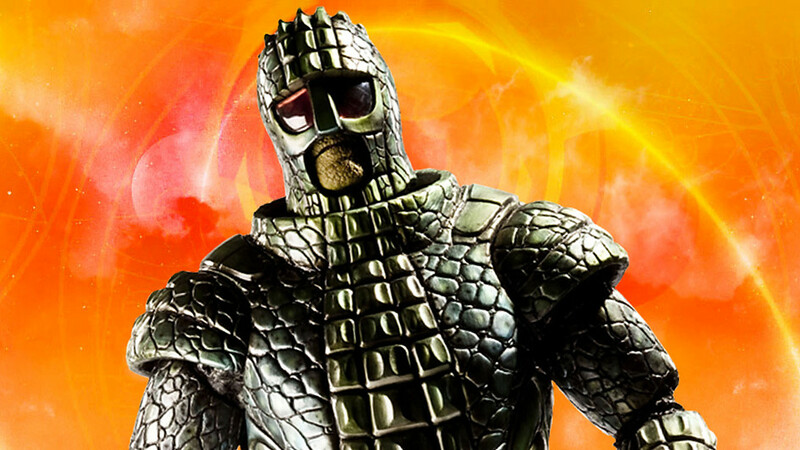 The Ice Warriors are amongst the most popular monsters ever seen in Doctor Who. Ever since they first battled the Second Doctor (Patrick Troughton) in The Ice Warriors (1967) and The Seeds of Death (1969), and then later the Third Doctor (Jon Pertwee) in The Curse of Peladon (1972) and The Monster of Peladon (1974), fans have been eagerly awaiting the day when the Martian warriors from Mars would return to menace the Doctor again. 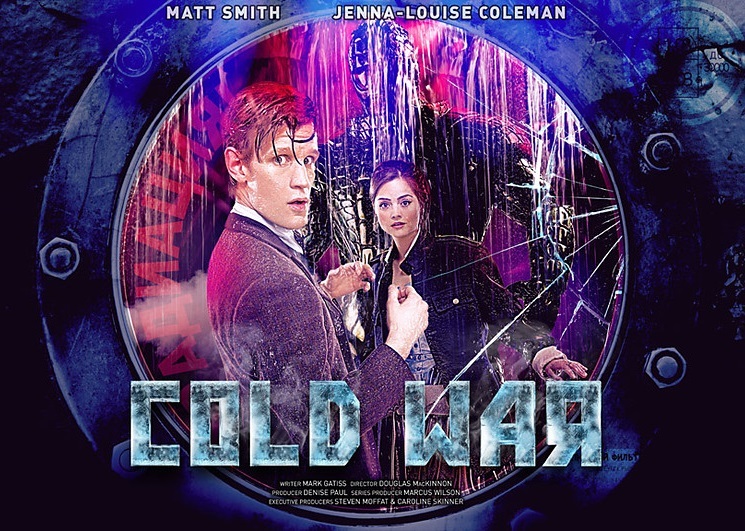 Now at long last the Ice Warriors are back, in a fantastic story by Mark Gatiss, to face the Eleventh Doctor (Matt Smith) and his new assistant Clara Oswald (Jenna-Louise Coleman) in the eagerly anticipated episode – Cold War. When the Doctor and Clara’s trip to Vegas doesn’t go according to plan they suddenly find themselves on a Soviet submarine which is rapidly sinking to the bottom of the ocean at the North Pole. After the TARDIS Hostile Action Displacement System causes the ship to dematerialise, leaving them stranded, the Doctor realises they have arrived during the cold war in 1983, at the height of the tensions between the worlds two power blocks. The submarine and her crew are returning from a top secret expedition to the North Pole where they discovered a creature frozen in the ice; an Ice Warriors that he been dormant for over five thousand years. Now it has escaped and is making its way though the submarine, where it confronts the Doctor, but a crewmember sneaks up behind the Ice Warrior and disabled it with a cattle prod. Clara Oswald’s first adventure into the past is fraught with danger as she has to learn to cope quickly as events begin to spiral out of control on the submarine. This is another important episode for Clara as it helps to clarify her role as the new companion, by placing her in situations that reinforce the programmes basic concepts, such as the TARDIS translation matrix. In fact, this is the third time that writer Mark Gatiss has penned a new companions first adventure in Earth’s past – the first being Rose in The Unquiet Dead (2005), and then Amy in Victory of the Daleks (2010). There are plenty of chances for Jenna-Louise Coleman to shine as Clara has to cope with being stuck on the submarine and running for her life to escape from the Ice Warrior after it emerges from its armour. There are no clues this episode about the ongoing mystery of Clara Oswald’s origins, although there are some great character moments for her. One of Clara’s best scenes is where she becomes trapped with the Ice Warrior, it’s highly reminiscent of Robert Shearman’s 2005 episode Dalek, and it’s a great tension filled moment that has quite an unexpected payoff at the episodes climax. 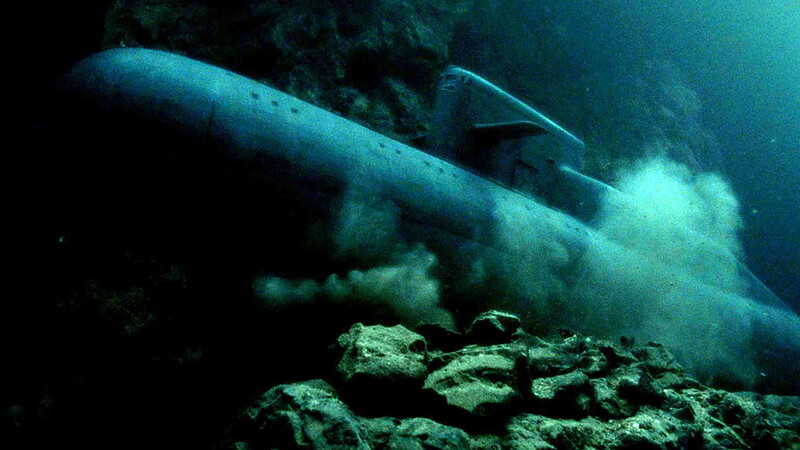 The submarine sets for Cold War are really dark and claustrophobic, with steam billowing from pipes and water streaming everywhere, director Douglas Mackinnon really builds up the tension as the vessel sinks and the Ice Warrior goes on the rampage. It really is remarkable how the cast and crew managed to film in such conditions, the sets are so convincing, and with all the water and steam gushing through the fractured hull it looks incredibly realistic. Right from the moment we catch sight of the Ice Warrior frozen in a block of ice, there is a brooding sense of anticipation until it breaks free attacks the crew. The new look Ice Warrior retains many of the classic element of the original monsters design, but with a few slight changes, namely having three fingered hands instead of its predecessors clam-like pincers. What is really remarkable about Skaldak is how fast he moves. The old Ice Warriors were slow and lumbering, but Skaldak (Spencer Wilding) seems to power through the submarine, stomping through the flooded corridors and killing anyone that gets in his way. It goes to show just how successful the original design of the Ice Warrior really was, the creature’s sonic weaponry is still present here, their distinctive rasping voice – provided by Nicholas Briggs – is slightly deeper, but the reptilian hisses are the same. The biggest change is how Grand Marshal Skaldak is capable emerging from his armour, revealing his true form, something that even the Doctor has never seen before. There are some really creepy moments as Skaldak prowls the ship (particularly when he dismembers some of the crew to study human anatomy) once he is outside his cybernetic armour, although we only see his clawed hands, his face is revealed during the closing moments on the Bridge as the Doctor and Clara try to stop him firing the nuclear missiles..
Mark Gatiss has crafted a superb story, drawing on such classic sci-fi influences as The Thing From Another World and Alien, while setting it on board the cramped environment of the Soviet submarine. Cold War is a clear homage to the classic base under siege stories from the 2nd Doctor’s era, where the Ice Warriors first appeared in 1967, and Mark Gatiss has done a fantastic job with this thrilling episode for the Ice Warriors return. I like how Mark Gattis has taken the opportunity to give a greater scope to the Ice Warriors and their culture. The first Ice Warrior the Doctor encountered (Varga) had been entombed in a glacier for thousands of years, later he stopped them from invading Earth and altering the planets atmosphere with deadly seed pods, before encountering them in the distant future on the planet Peladon, and the 10th Doctor (David Tennant) also mentioned them in The Waters of Mars (2009). There are huge gaps in the mythology of the Ice Warriors which Mark Gatiss hints at here: mentioning different castes and factions, a code of honour, and aspects of their ancient civilization. There is also a very touching moment when Skaldak remembers his family. 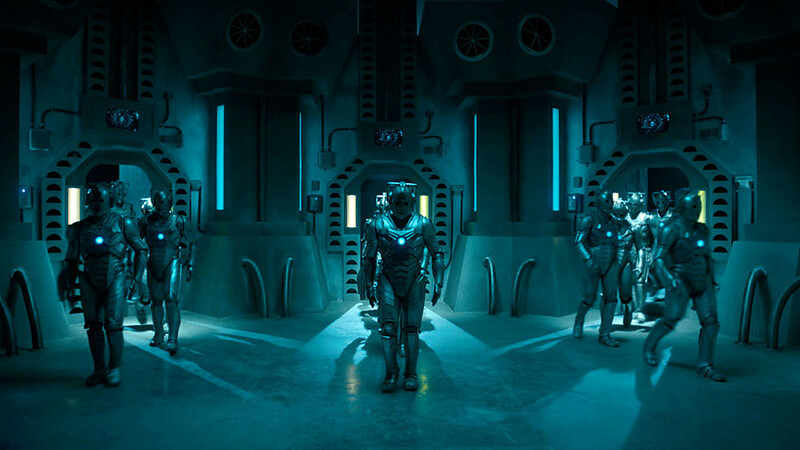 The space ship at the end that rescues Skaldak is magnificent; there is a wealth of potential here for the Ice Warriors to return in force, so let’s hope they do soon, preferably with Mark Gatiss scripting their next story. Matt Smith has some great moments as the Doctor in Cold War. He spends most of the episode struggling to contain the threat posed by the Ice Warrior, while also briefing his new companion on the tense political situation they are faced with, knowing that if Skaldak launches the submarines missiles it will start a war that will destroy the world. 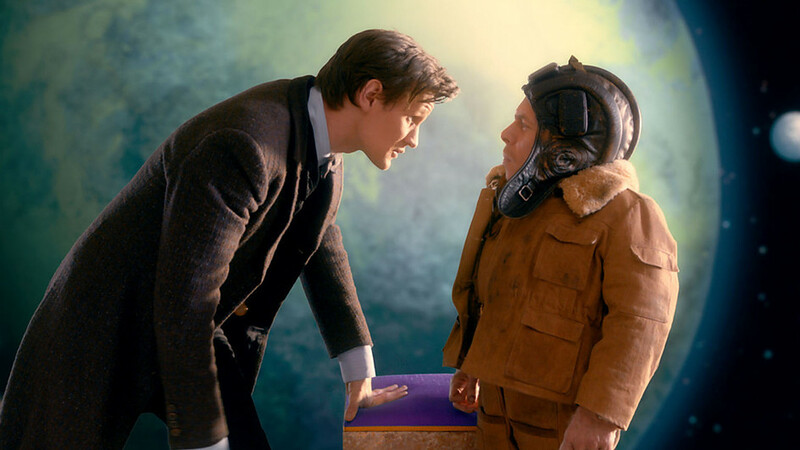 We lean that Skaldak was a great hero of the Martian race, a powerful warrior, and Matt Smith’s portrayal of the Doctor continues to impress as he tries to persuade the Ice Warrior not to unleash the nuclear warheads and start a war. 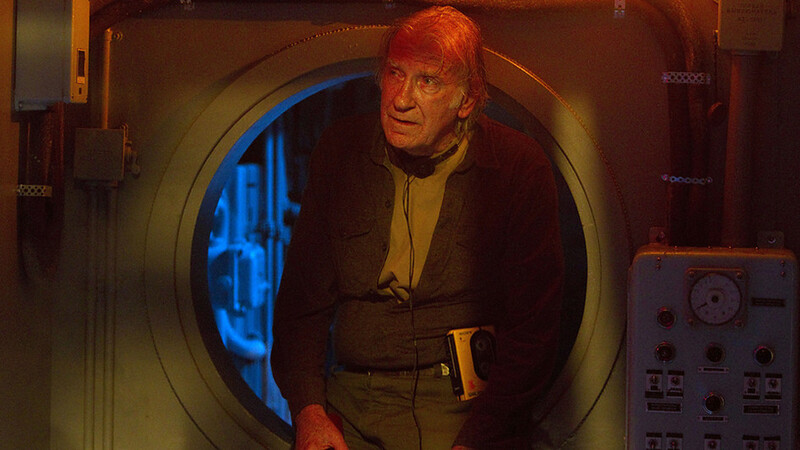 David Warner is also exceptional good as the elderly Professor Grisenko; a great character who steals every scene he’s in as he walks the corridors of the submarine, singing pop songs from the 80’s. The grizzled Captain Zhukov is played by Liam Cunningham, and his Lt Stephashin (Tobias Menzies), along with crewmembers Piotr (Josh O’Connor), Onegin (James Norton), and Belevich (Charle Norton) are all a great bunch of characters that makes Cold War a really fun episode filled with some cracking dialogue and brilliant action scenes. It’s great to see the Ice Warriors back for Doctor Who’s 50th Anniversary year. 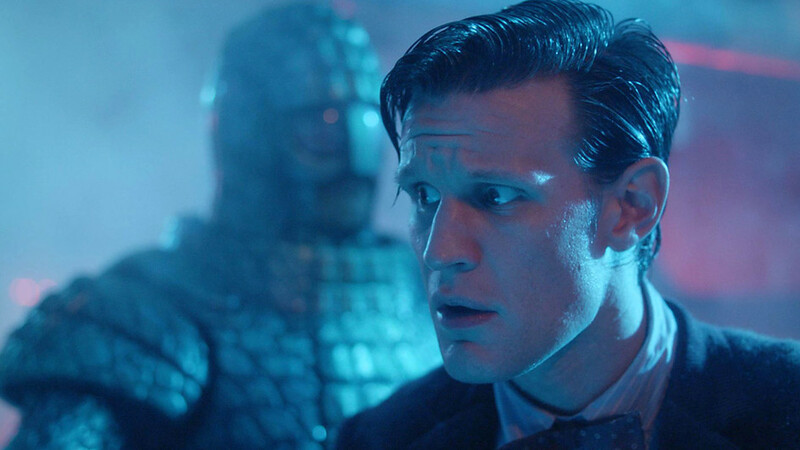 Cold War is a brilliant episode by Mark Gatiss, the Ice Warriors scaly armoured form has received a fantastic update for the iconic monsters return, and together with terrific performances by Matt Smith and Jenna-Louise Coleman this is one of the best episodes of season seven. Unaware that the Doctor has already begun to delve into her past, Clara Oswald steps back on board the TARDIS, and this time she brings her book of 101 Places to See with her. 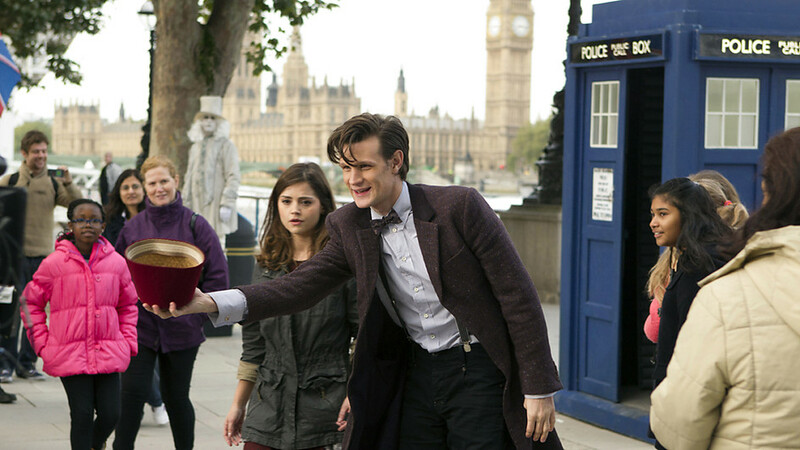 The Doctor offers to take Clara anywhere in time and space, so Clara asks the Time Lord to take her somewhere “awesome”. 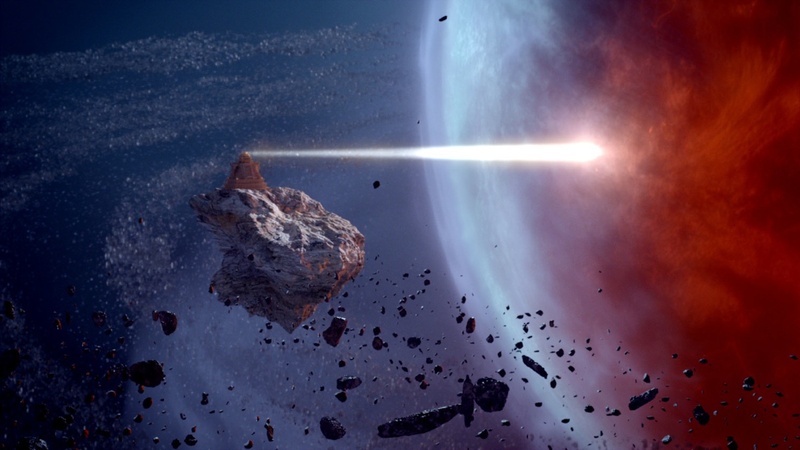 Moments later the TARDIS materialises on the inhabited rings of Akhaten, one of seven worlds situated in a far away star system, whose citizens believe that all life in the universe originated on Akhaten and its incredible asteroid rings. The Doctor and Clara take in the wondrous sight of Akhaten’s fantastic ring system, before exploring the busy Tiaanamatt market place, where countless alien races and pilgrims have gathered to observe the Festival of Offerings. 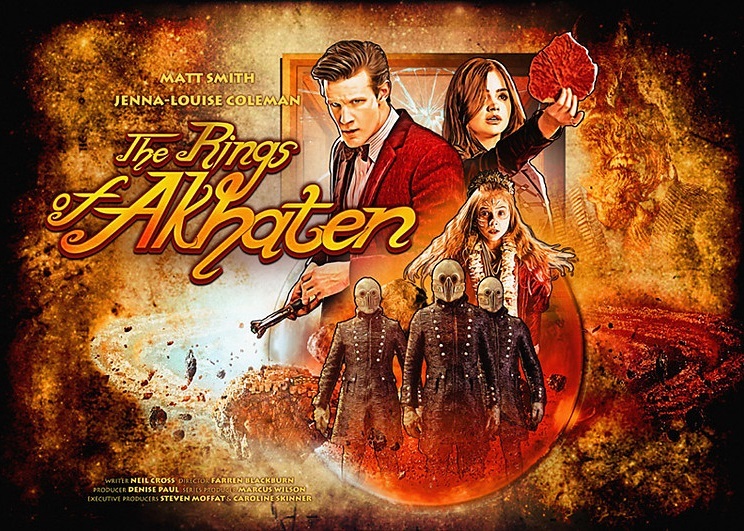 The Rings of Akhaten is the first story this season by Dr Who newcomer, Neil Cross (scriptwriter for Spooks and creator of the multi award winning Luther), who has also written the ghost story Hyde for this season. Neil Cross has created an epic adventure for Clara’s first visit to another world, one that is filled with aliens, gods, and monsters. 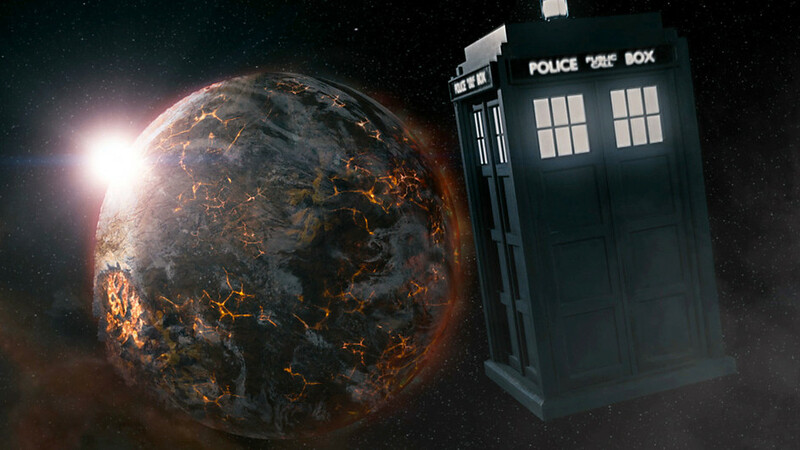 Akhaten is certainly one of the most spectacular alien worlds ever seen in Doctor Who. The diverse alien races that trade at the marketplace with psychic transactions are almost too numerous to mention: we have Panbabylonians, a Lugal-Irra-Kush, the bizarre Hooloovoo, an Qom Vo Tivig, and even a Terrabeserker – much to the Doctor’s delight. Each alien has a unique look, with up to fifty creatures on screen at one time, and the detailed prosthetics and lavish costumes are some of the best ever created for the series. As of course are the rings themselves, a beautifully rendered digital effect of the highest order, which provides a stunning alien environment for this adventure. 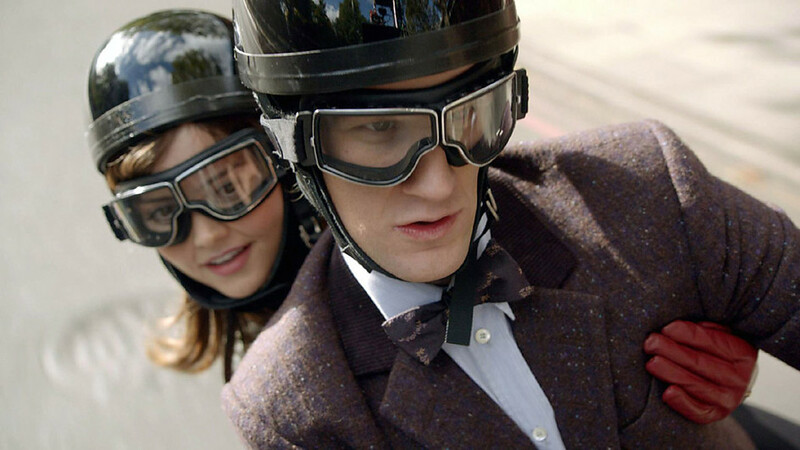 There is also a cleverly filmed sequence with the Doctor and Clara on a flying moped, which is great fun to watch as the time traveller’s race through the asteroid rings to reach the pyramid. While there are some obvious similarities with The End of the World (2005) and The Fires of Pompeii (2008), director Farren Blackburn makes The Rings of Akhaten every bit as exciting. Effortlessly allowing us to experience the adventure through Clara’s eyes: transporting us to a world with a blazing sun, introducing a plethora of new aliens, and rounding it all off by placing Clara at the focal point of the story as we lean more about her mothers death and the significance of the leaf in Clara‘s book.. 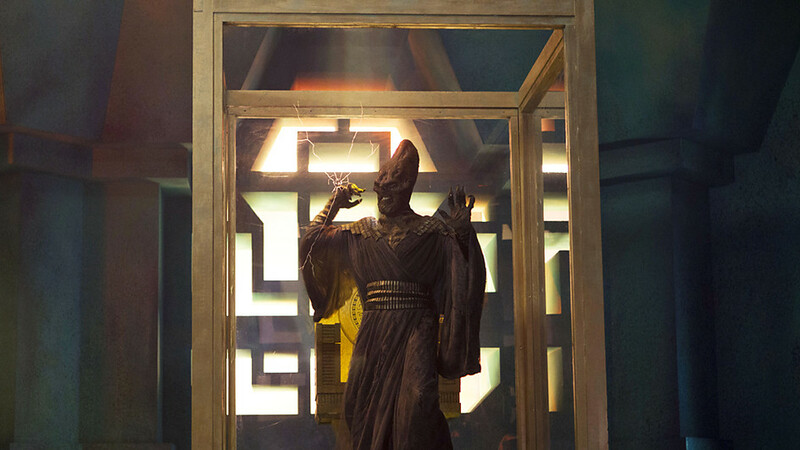 The mummified remains of the Old God is quite unlike any threat the Doctor has faced before. It feeds on the memories of those around it, experiencing their stories, before devouring their souls. This ancient creature’s distinctive robes and leathery face are extremely menacing, but it turns out to be just a vessel for the Old God. When it breaks free from its glass tomb the Mummy decays, its power shooting though space, where the Old God is revealed to be the sun of Akhaten itself! The sinister Vigil that guard the tomb also act as emissaries for the creatures power, who must ensure The Queen of Years is taken to the Old God to be sacrificed. Matt Smith now has such a grasp of the Doctor’s character that he is fast becoming one of my favourite incarnations of the Time Lord. He now seems perfectly at ease in the role, which is reflected in the 11th Doctor’s child-like wonder as he visit’s the Tannamatt marketplace with Clara, relishing the chance to introduce his new companion to the wonders of the universe. 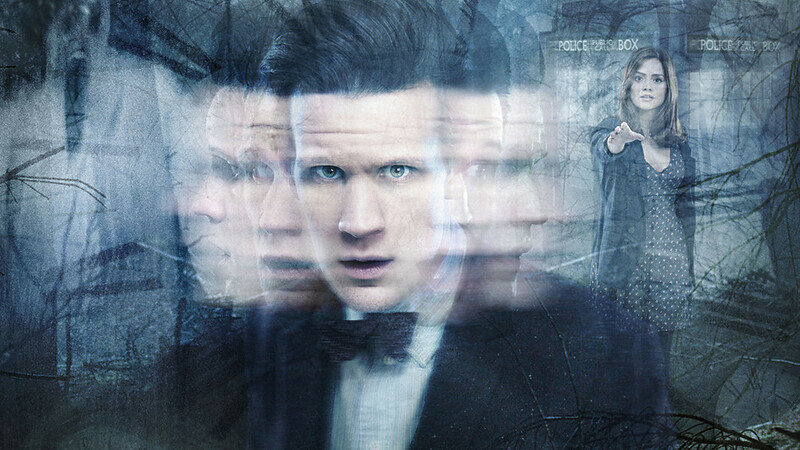 Matt Smith is also equally successful in harnessing the darker aspects of the Doctor’s personality, especially here when he is confronted by the Old God’s awakening, and the Time Lords icy countenance when has to confront the ancient entity with his own memories is a fearsome sight to behold. Matt Smith is superb here as the lonely Time Lord is forced to reveal his innermost pain, weeping as he recounts his experiences to the Old God. 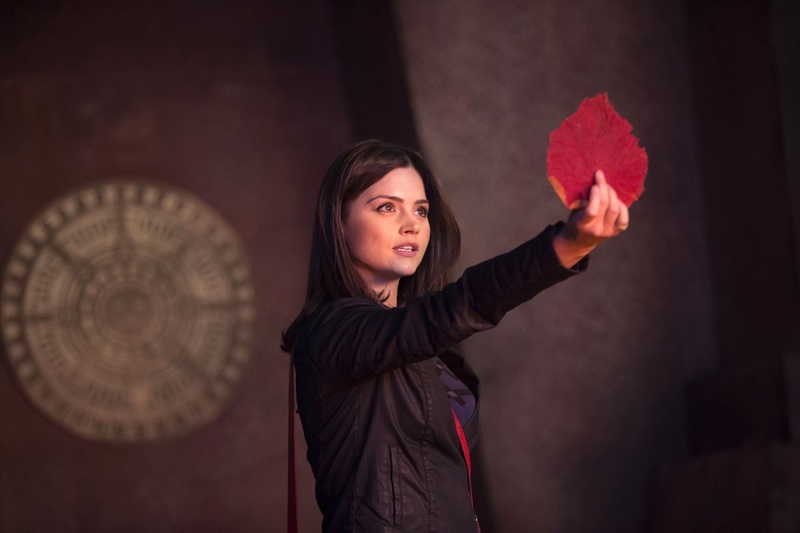 It’s also interesting how Neil Cross cleverly allows Clara‘s story to play a direct part in defeating the Old God, with Clara returning to help the Doctor, using the leaf that embodies the memory of her mothers tragic death to save them all. The Rings of Akhaten offers Jenna-Louise Coleman a chance to really shine as Clara Oswald. She brings a playful sense of fun to the character, wholeheartedly embracing her desire to travel the universe, but also proving to be as resourceful as any of her predecessors when faced with danger. She has the steely resolve to face up to the horrors unleashed by the Old God on Akhaten, while also displaying a gentler side as she befriends The Queen of Years. There is also a lovely scene where Clara asks the Doctor to explain what time is actually made of. Time, it would seem is many things, as the Doctor points out, but it certainly is not made of strawberries. Murray Gold has provided some tremendous music for The Rings of Akhaten that perfectly complements the haunting songs and lullabies that are the main focal point of the story. Emilia Jones, the daughter of Aled Jones, plays Merry, the Queen of Years, and she does a great job of handling all the acting and singing requirements of her role. 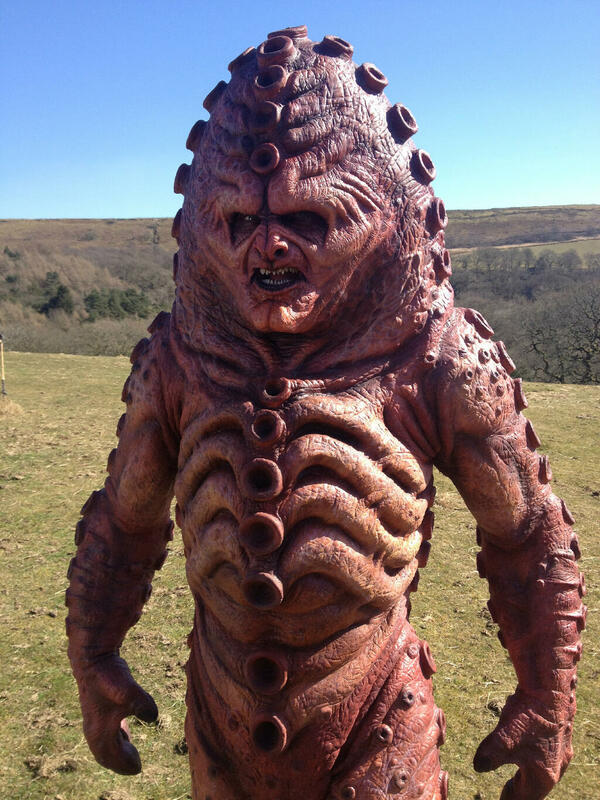 Today the BBC confirmed that the Zygons would be returning to Doctor Who for the programmes 50th Anniversary Special. These shape shifting aliens only ever appeared in one Doctor Who story, Terror of the Zygons (1975), where they were defeated by the 4th Doctor (Tom Baker). The Zygons have remained immensely popular with Doctor Who fans. Since then they have only appeared in a few flashbacks, novels, and comic strips. The Zygons have been mentioned a few times in recent series of Doctor Who: in The Pandorica Opens (2010) they were said to be amongst the fleet of aliens who assembled above Stonehenge to confront the Doctor, and in The Power of Three (2012) we learned how the Zygons concealed their spaceship under the Savoy Hotel in 1890 and took the place of the staff to carry out their plan. Its great to see another classic Doctor Who monster return. The new look Zygons are very similar to the original versions of the creatures, and I’m sure they will make a fantastic addition to the 50th Anniversary Special. Over the Easter Weekend is was also confirmed that David Tennant and Billie Piper would be returning as the Doctor and Rose for the 50th Anniversary Special, along with Joanna Page (Gavin & Stacy), and film legend John Hurt. Check out the link below to the official BBC Website for all the latest Doctor Who news. Having retreated to a monastery in 1207 to contemplate the enigma of Clara Oswald, where the Doctor is studying a painting of Clara from the 13th Century which purportedly yields the last message from the girl who has already died twice, the Time Lord is roused from his musings when two monks bring news that the Bells of St John are ringing. He returns to the TARDIS where the telephone in the door is ringing. The surprise caller is Clara Oswald, a live in nanny from present day London, who is experiencing a problem with her internet connection. 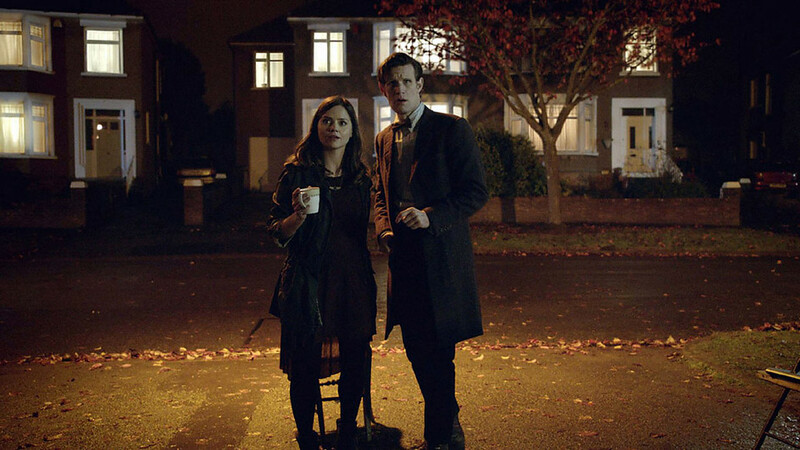 A bemused and excited Doctor quickly takes the TARDIS to meet Clara, but she isn’t exactly impressed by the strangely dressed man who has parked his strange blue box outside the house. After taking the time to make a quick costume change, the Doctor is horrified to find that Clara has been attacked by some otherworldly robotic device called a Spoonhead, which is somehow linked to the Wi-Fi network. 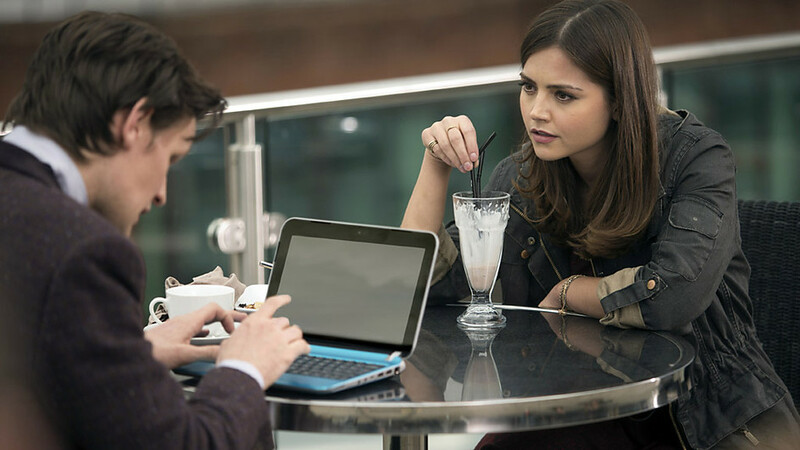 After preventing Clara’s mind from being downloaded by the Spoonhead, the Doctor is determined to find out who is behind the entity lurking inside the capitols Wi-Fi signals – harvesting human minds and stealing their souls. It turns out that anyone looking at a particular network symbol instantly becomes a target for the sentient network, controlled by Miss Kislet from her high-rise office in the Shard as she plots with her mysterious client to use the Spoonheads to build a Data Cloud and turn the technology of the world against humanity. Clara wakes up and gazes down from her window to see that the Doctor is still waiting for her by the TARDIS. She goes outside to meet him, suddenly aware that she now understands computers, although she can’t explain how. As the Doctor begins to explain what happened to her Miss Kislet decides to strike back and hacks into the Wi-Fi to send a passenger plane plummeting towards them. After rushing Clara into the TARDIS the Doctor makes a whirlwind trip to the plane, with a bewildered Clara who suddenly finds herself at the controls with the Doctor as the narrowly avoid disaster. Season Seven resumes in fine style with The Bells of St John, heralding the beginning of a new era for Doctor Who as the soufflé girl/governess Clara Oswin finally joins the Doctor on his adventure in time and space. Ever since Jenna-Louise Coleman first appeared as the fast-talking computer-savvy Oswin Oswlad in Asylum of the Daleks (2012), fans have been captivated by the mystery surrounding the girl in a red dress who didn’t even realize she’d been turned into a Dalek. The 2012 Christmas Special: The Snowmen then offered us Clara the Governess who tragically died again, only to reappear again in the future standing at her own graveside. Jenna-Louise Coleman is fantastic as the young woman who seems to have some kind of inexplicable bond with the Time Lord. Having already encountered him in two different time zones, this modern day Clara appears to be fundamentally the same person. In fact, although Clara initially seems as dissimilar to Oswin from Asylum of the Daleks as the Governess was in The Snowmen, who each were distinctive in their own right, this present day version of Clara is an altogether more realistic interpretation of those characters. 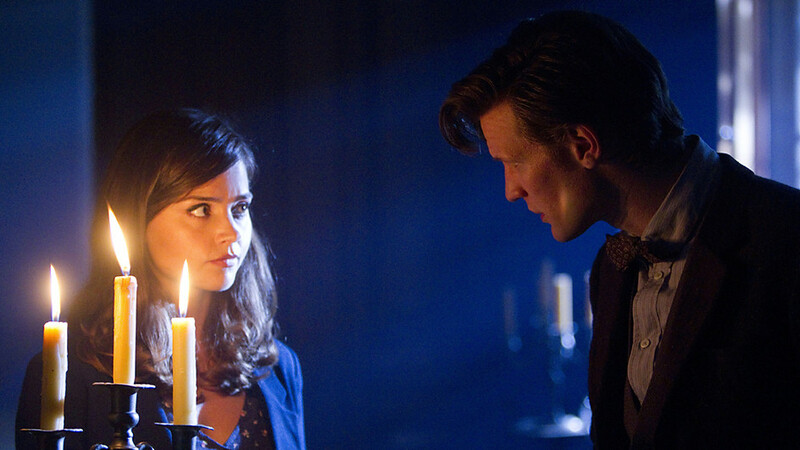 Jenna-Louise Coleman’s engaging performance as Clara is like opening a Pandora’s Box of infinite delights. Clara’s eclectic persona and bubbly personality also yields a will of steel. She is one of the Doctor‘s most quick-witted companions, who dreams of travelling, and is more than capable of looking out for herself. Mat Smith is on fine form as the mercurial Time Lord who has rediscovered his thirst for adventure, sporting a stylish new purple version of his costume, Matt Smith’s incarnation of the Doctor continues to impress as Clara’s story begins in earnest. Although the Doctor is thrilled to find Clara it quickly becomes apparent that the dynamic between them strikingly different to the one he shared with the Ponds. The Doctor is both captivated and protective of his new companion, single-handedly organising her life at one point as she gazes down at the TARDIS from her bedroom window, and she in turn challenges his preconceptions with a playful feistiness as their worlds collide. 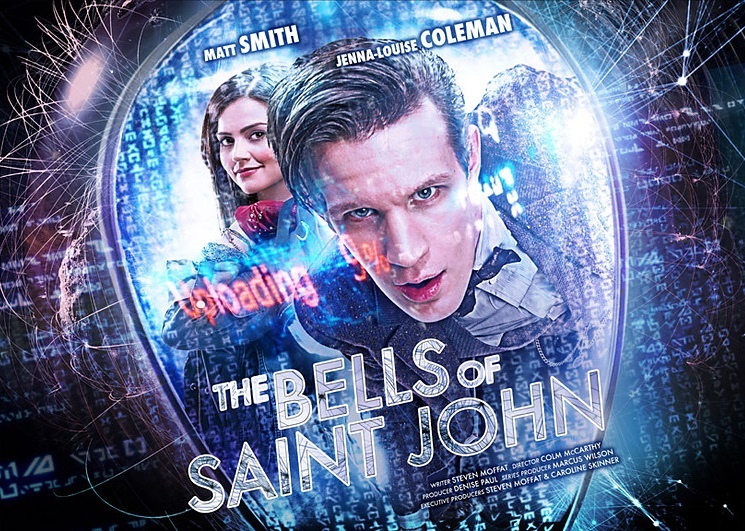 The Bells of St John is one of Steven Moffat’s most ambitious scripts to date. Boasting incredible production values, this is probably about as close Doctor Who has ever come to being a contemporary urban thriller, and is easily one of the most exhilarating season openers so far. 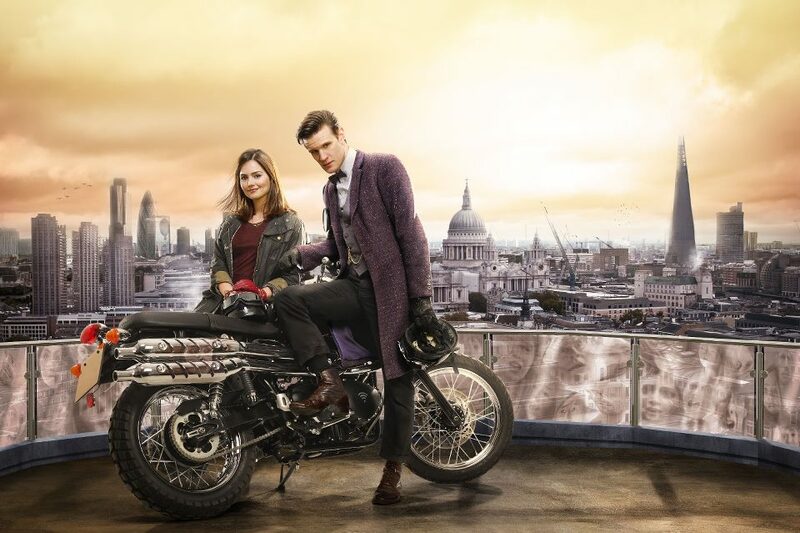 Matt Smith and Jenna-Louise Coleman make a fantastic team as they race over Westminster Bridge on a Triumph motorcycle, taking in plenty of London’s famous landmarks along the way. 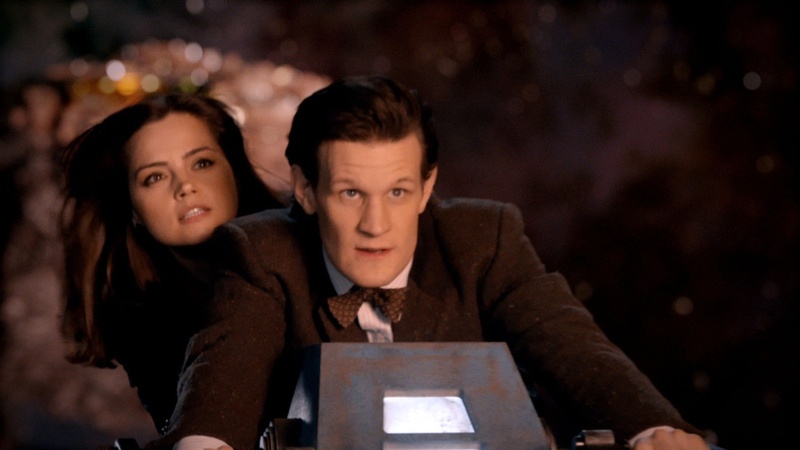 The Bells of St John features some spectacular action set-pieces right from the outset, with Clara’s first trip in the TARDIS placing her and the Doctor at the controls of a passenger jet about to crash into the city, while later we witness the Doctor driving up the Shard on his anti-gravity motorbike! Director Colm McCarthy takes every opportunity to showcase all the sights of London, and it’s great to see the Doctor and Clara in so many well known locations. 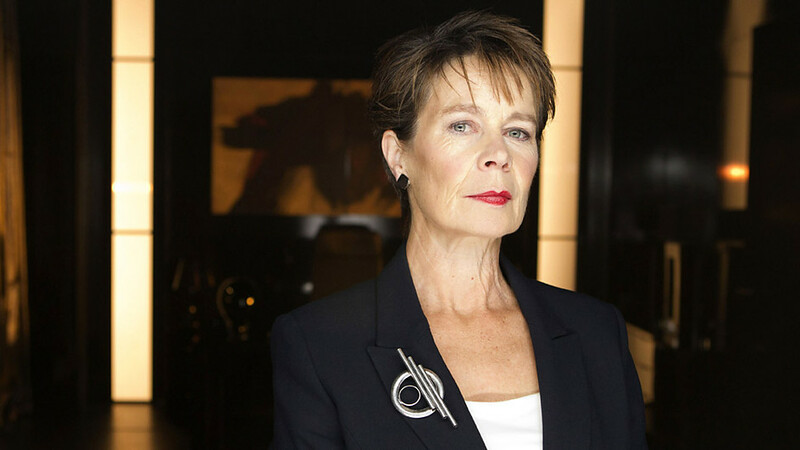 Celia Imrie gives a chilling performance as the evil Miss Kislet, the administrator behind the Wi-Fi threat; she has some fantastic one-liners and delivers them with a wickedly cruel glint in her eye. The Spoonheads are using the Wi-Fi signals to hack into people minds and take them over, and Steven Moffat skilfully plays on the insidious way modern technology has inveigled its way into our everyday lives, offering a superbly creepy insight into how vulnerable our innate obsession with social media can make us. The opening scenes where the viewer is warned not to connect to the Wi-Fi network by a hapless victim of the Spoonheads is very chilling, especially as it illustrates how so many people have become unwilling slaves to the Great Intelligence. By taking something as incongruous as Wi-Fi and transforming it into a deadly weapon for an alien invasion, Steven Moffat brings the threat of the Spoonheads into our own homes, turning an invisible signal into threat you cannot see or touch. There are many underlying themes here that point to the many hidden dangers within the internet, one that is exemplified here by the Spoonheads ability to project images from their victims own subconscious – trolling on an intergalactic scale if you will – which exposes how vulnerable we have all become in this age of information technology. It also very clever how Clara is defined by her cynicism towards social media; perhaps mirroring Steven Moffat’s own decision to leave Twitter as he started to find it too distracting. 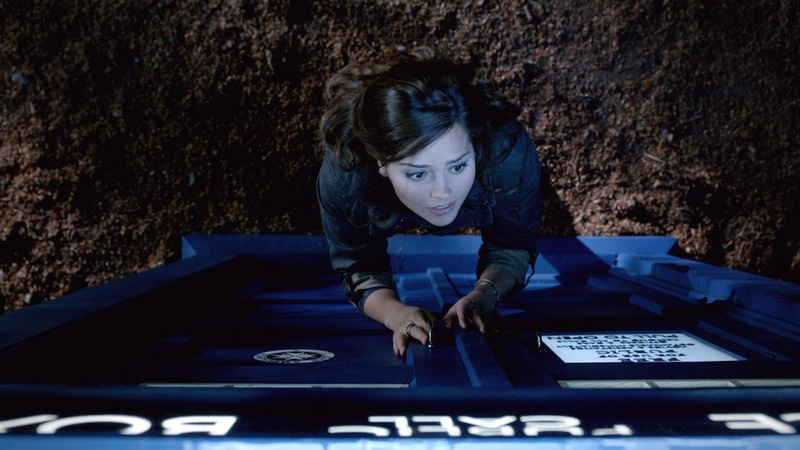 Steven Moffat has skilfully weaved the early stages of Clara’s ongoing mythology into The Bells of St John, including a number of flashbacks at relevant points for both Oswin and the Governess, as well as posing some tantalising questions for future episodes. The chemistry between the Doctor and Clara is electric right from the start, the banter between them is great fun, and I’m sure that Jenna-Louise Coleman will quickly become one of the series most popular companions. With the surprise return of Richard E Grant as the Great Intelligence, The Bells of St John is just the start of Clara’s incredible voyage of discovery as the Doctor searches for clues to explain the paradox of the girl without a time or a place. The Doctor and Clara return for 8 exciting new adventures that begin on Saturday 30th March, check out these new official pictures of the new season just released by the BBC. These pictures are from the first few episodes, and they look fantastic!